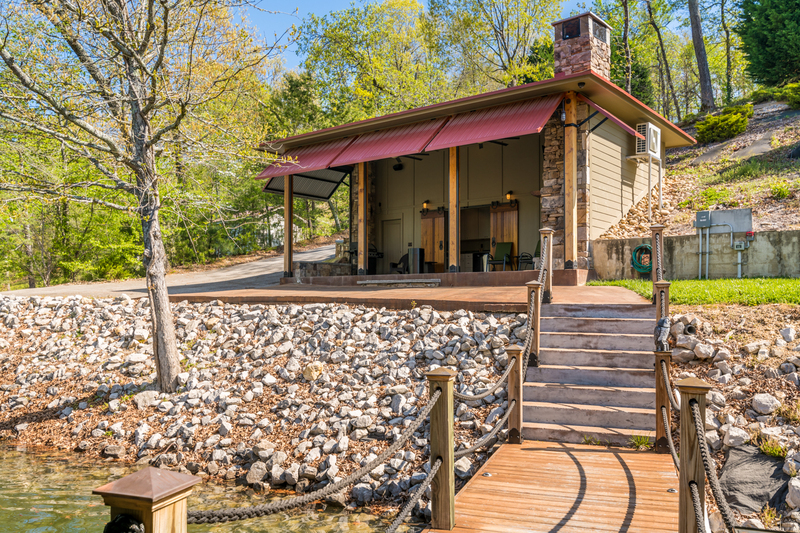 A new construction luxury lake home completed December 2015. 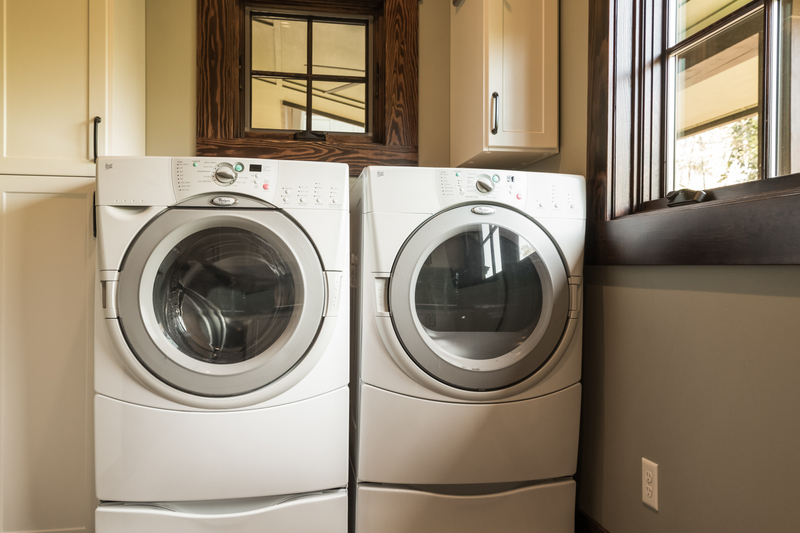 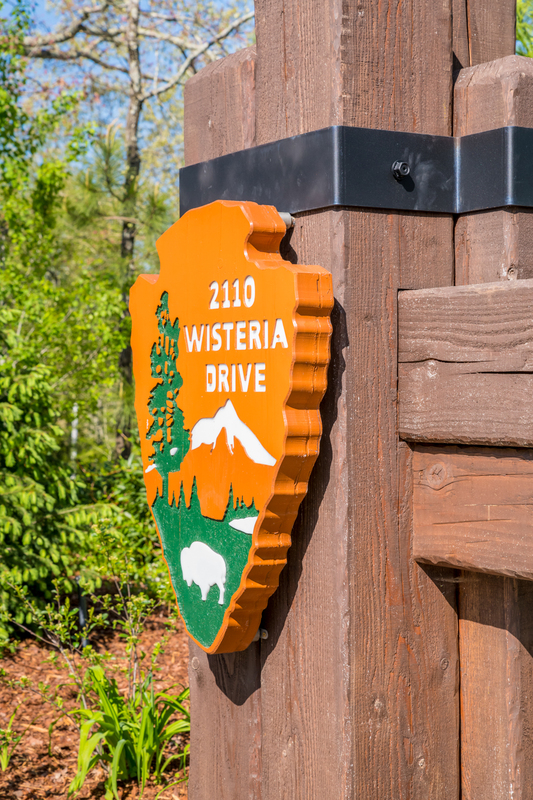 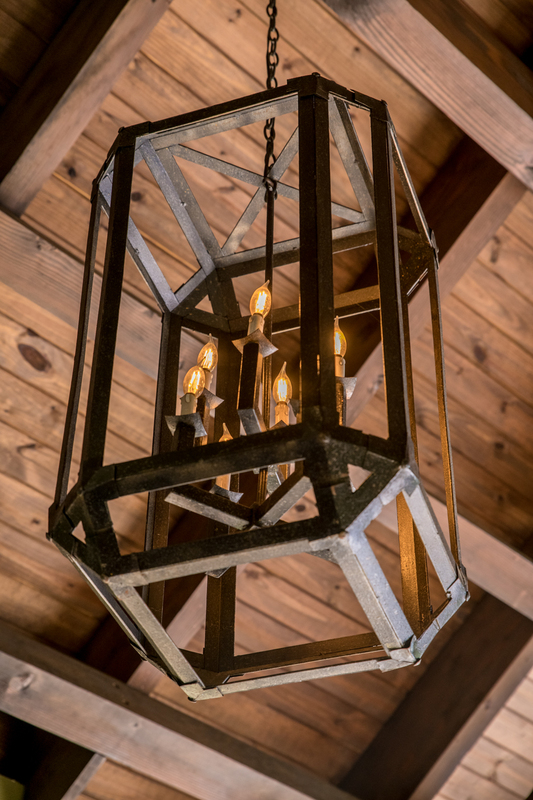 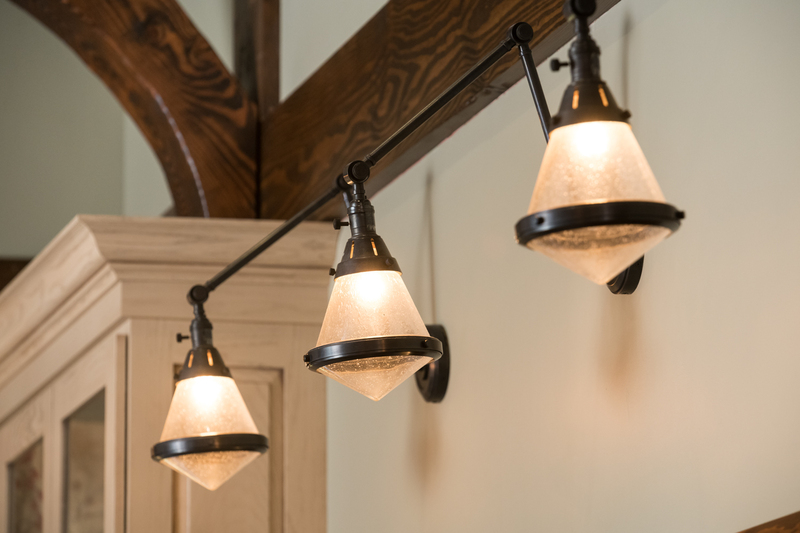 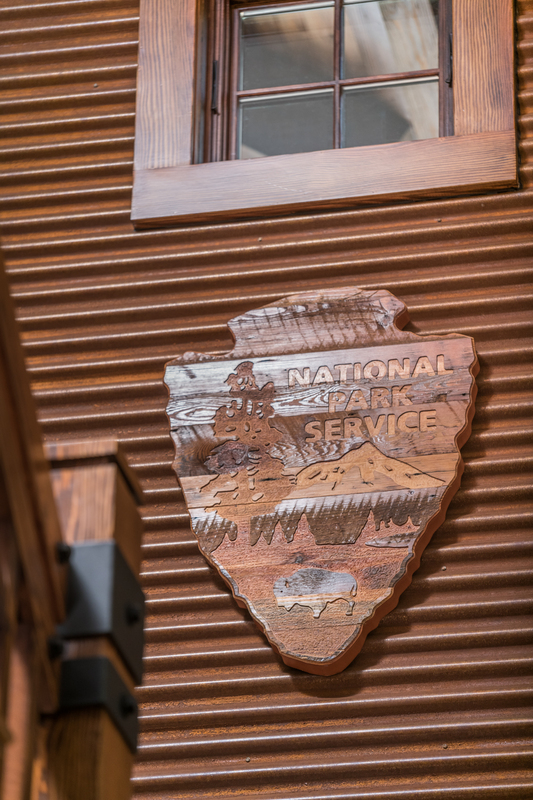 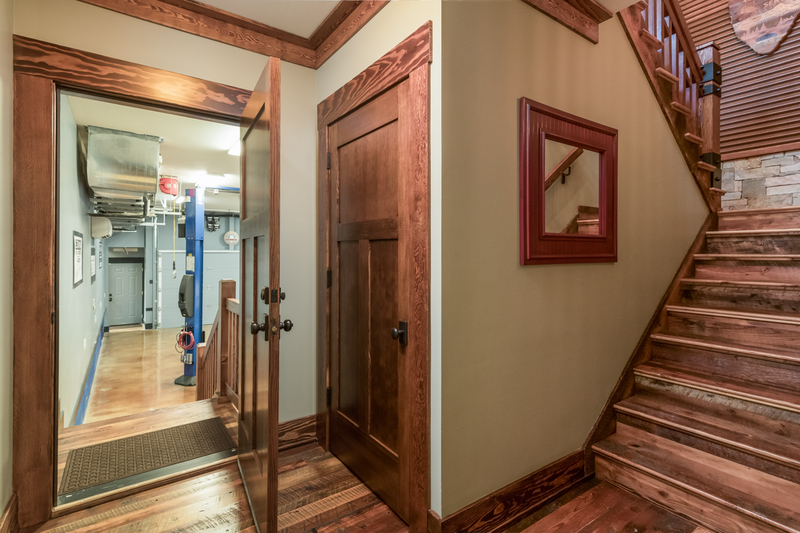 If you're looking for the most thoroughly engineered home you have ever experienced, look no further. 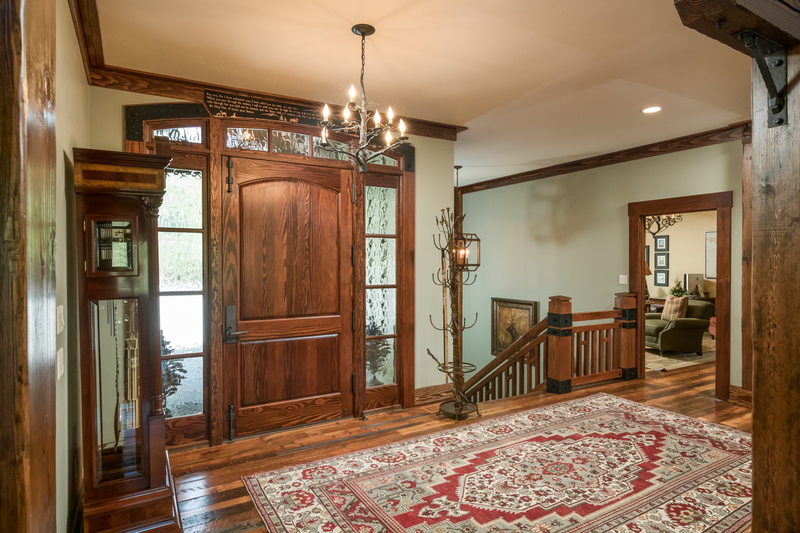 This is a one of a kind heirloom home that could easily be passed down through the next twenty-five generations. 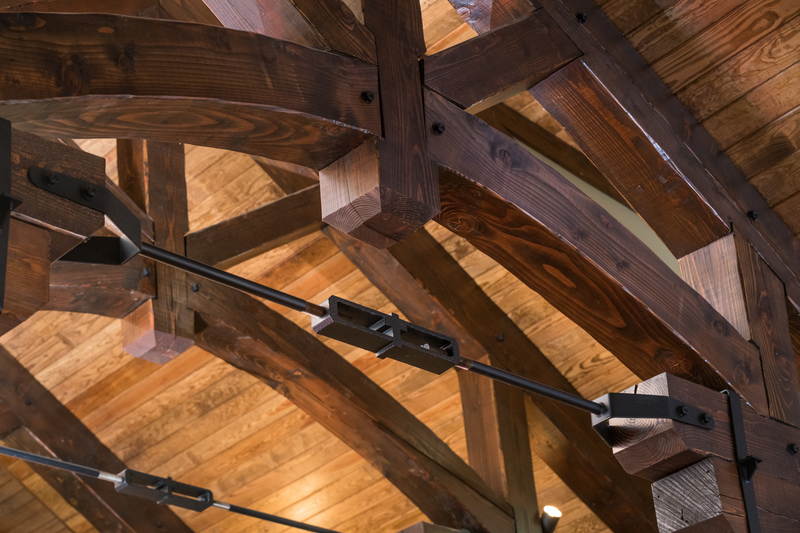 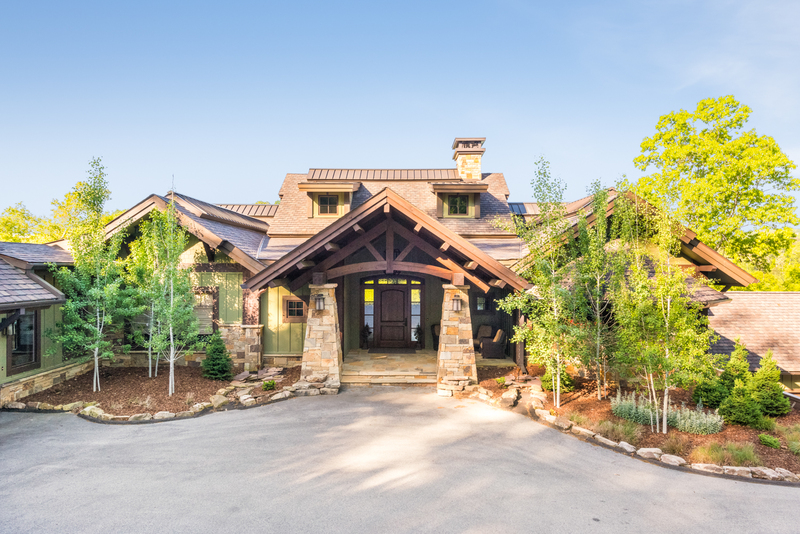 This epic feat of architecture is characterized by 100-year broad beam construction, exquisite stone craftsmanship, high-end custom Low-E UV protected Lincoln windows, the most cutting-edge home technology - and all this is just the beginning. 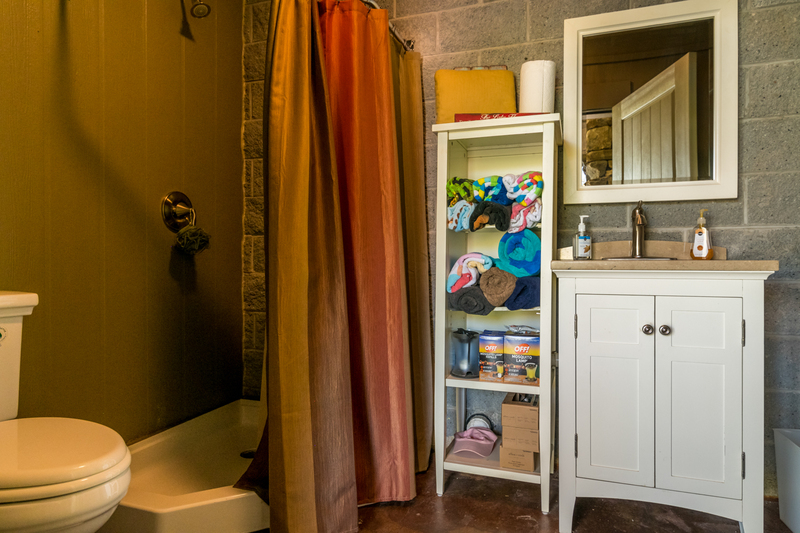 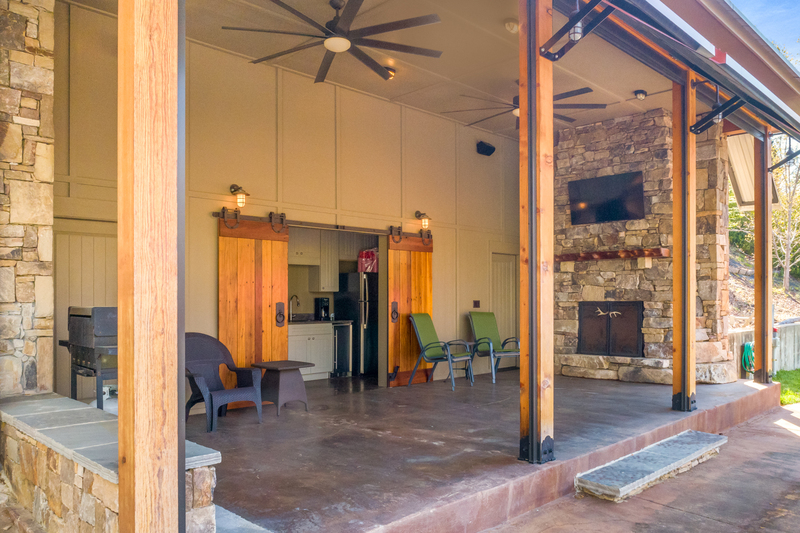 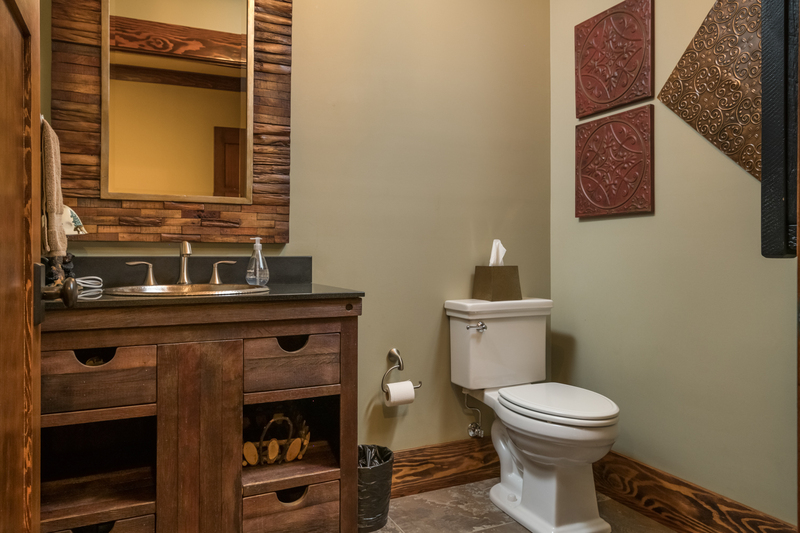 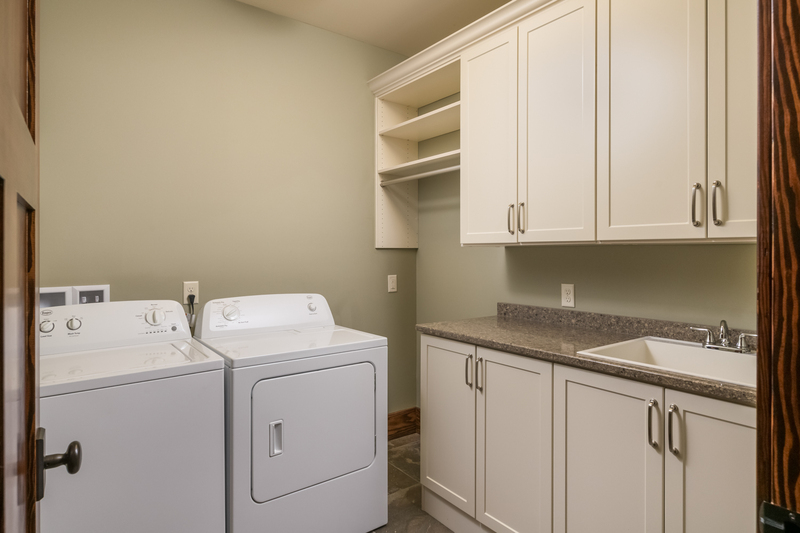 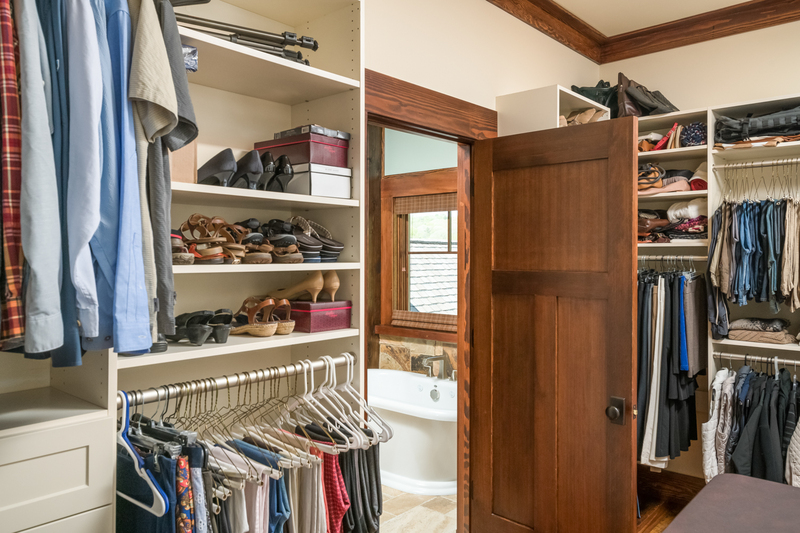 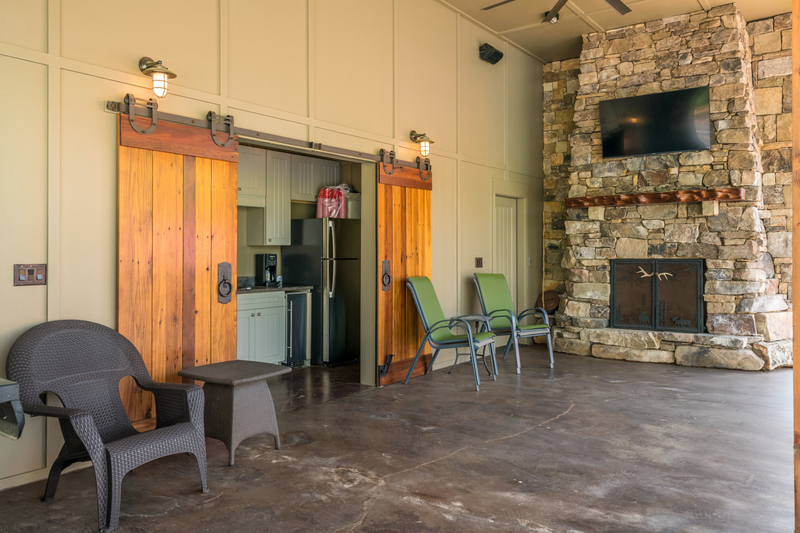 Full kitchen, Sonos sound system, full bath, extensive storage, floor-to-ceiling handcrafted stone fireplace, and a high end flat-screen TV just to name a few amenities. 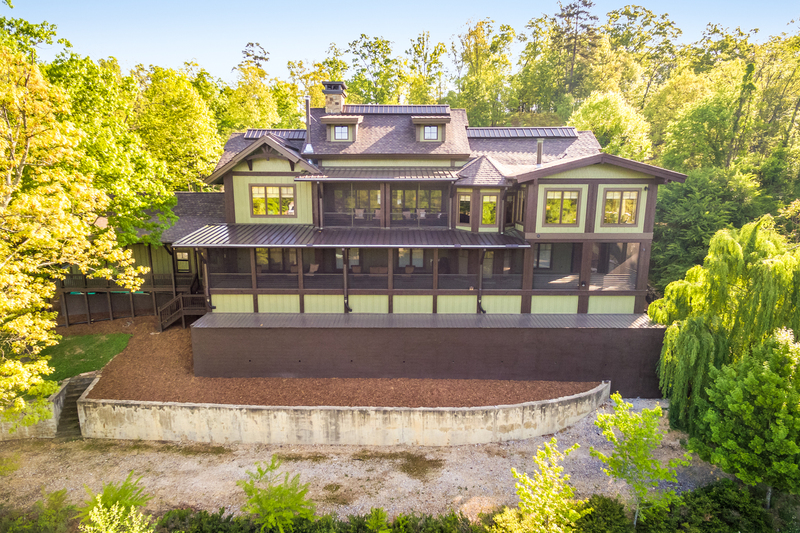 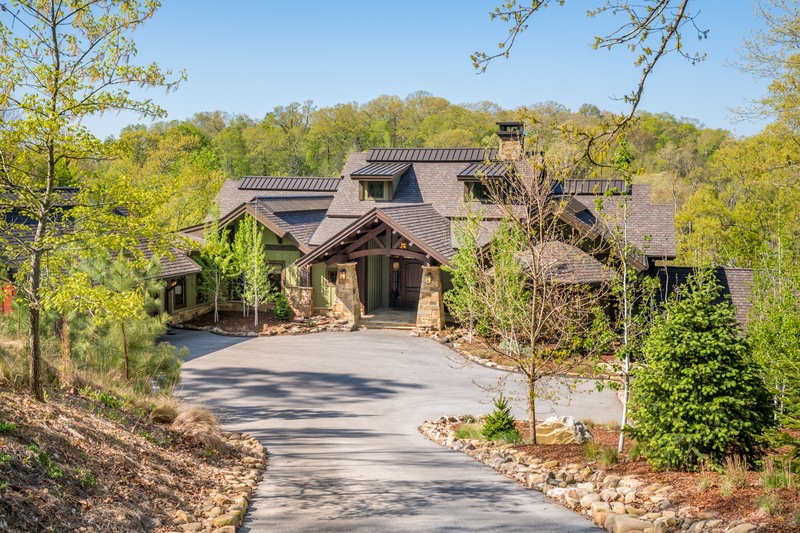 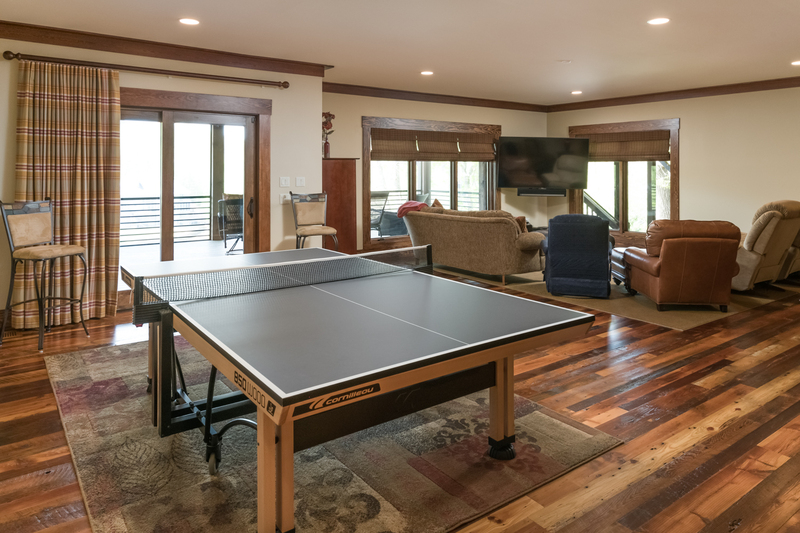 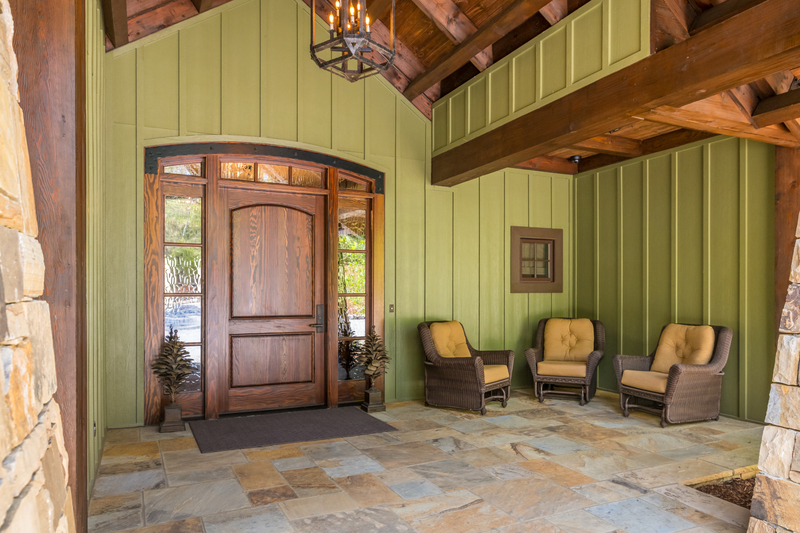 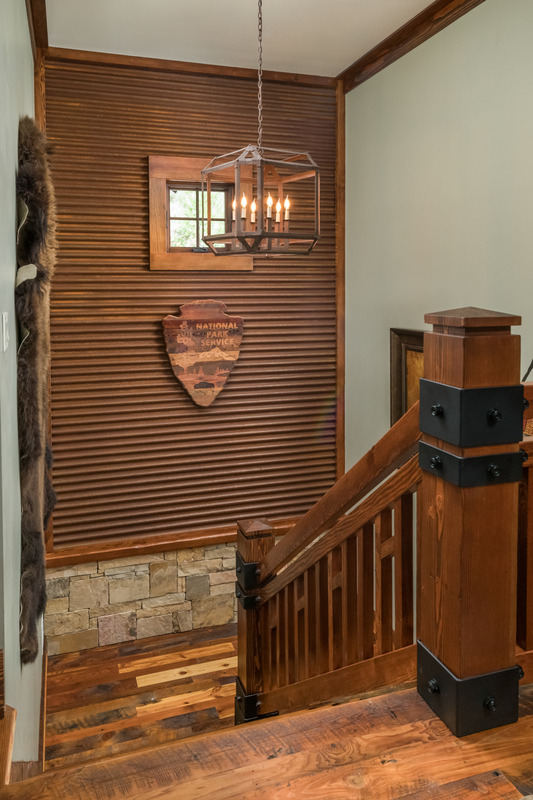 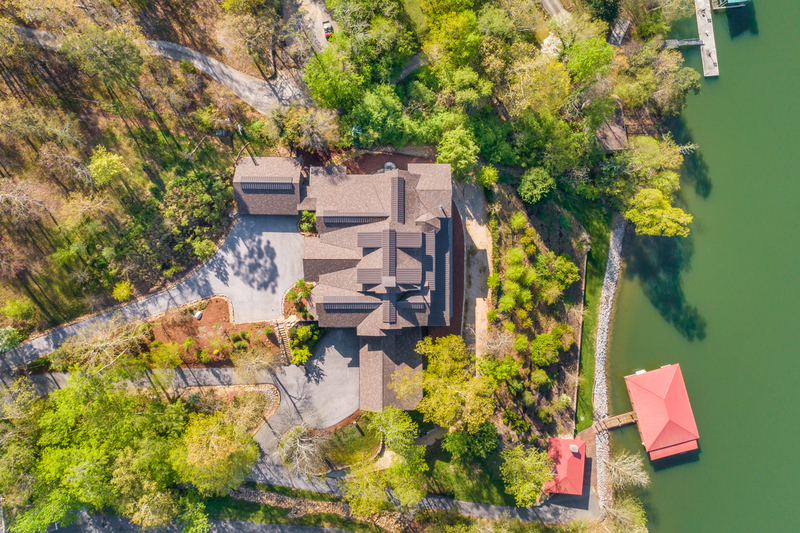 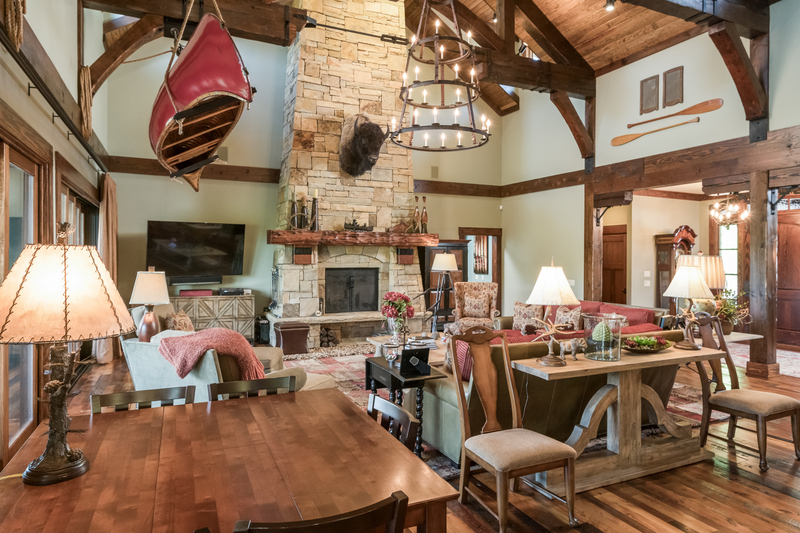 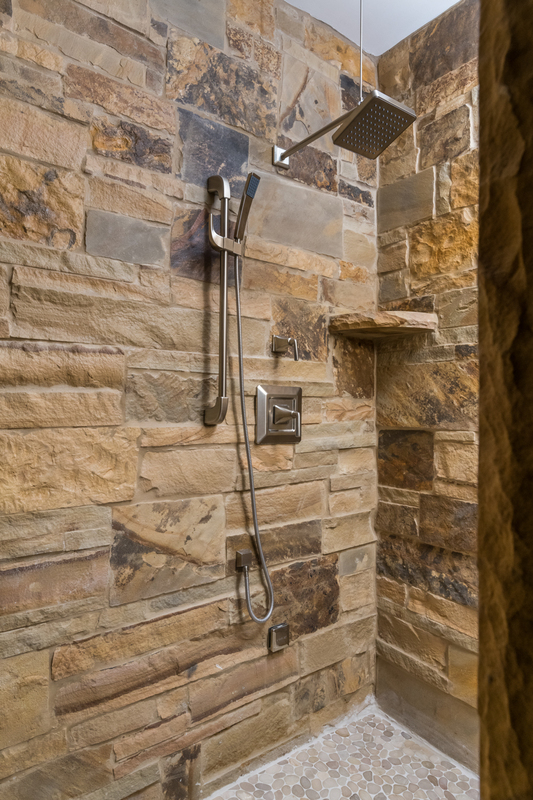 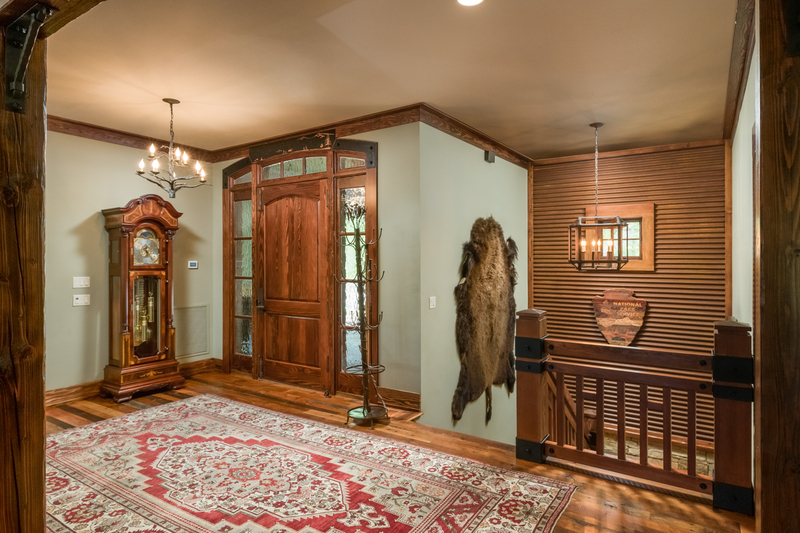 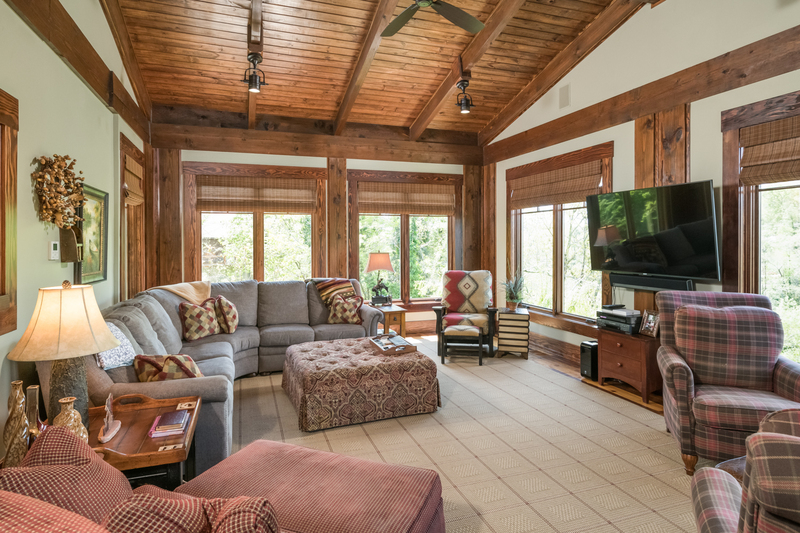 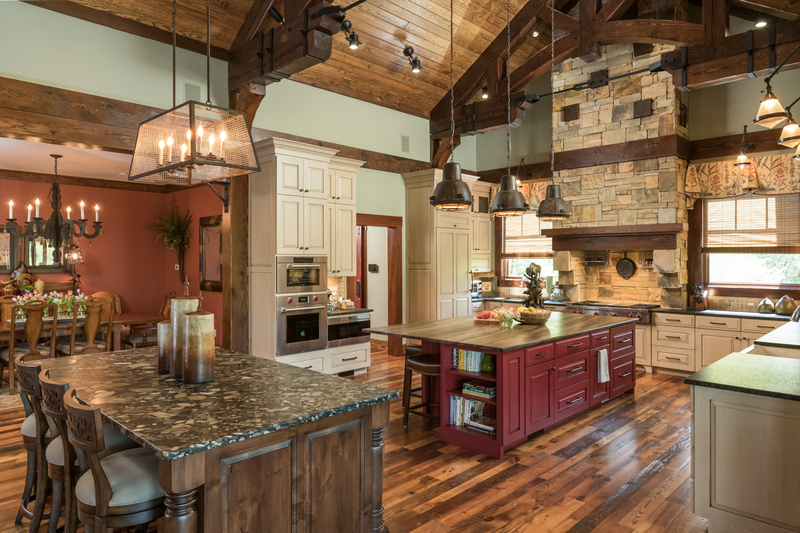 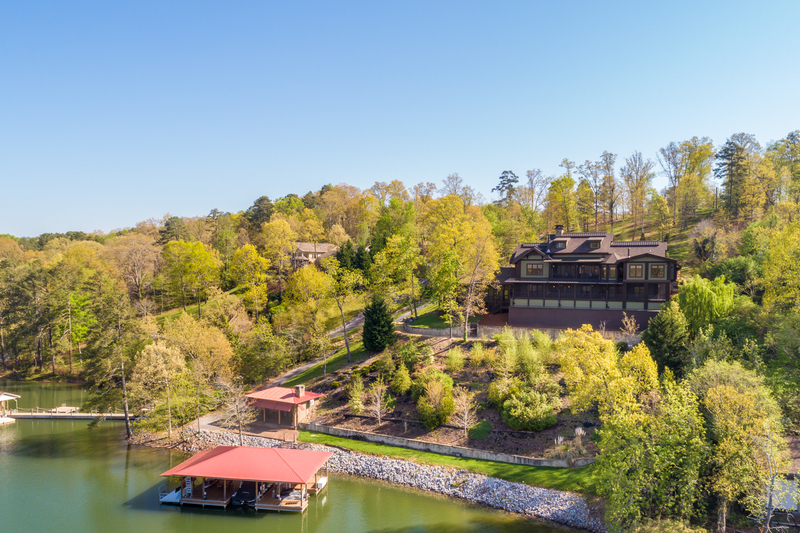 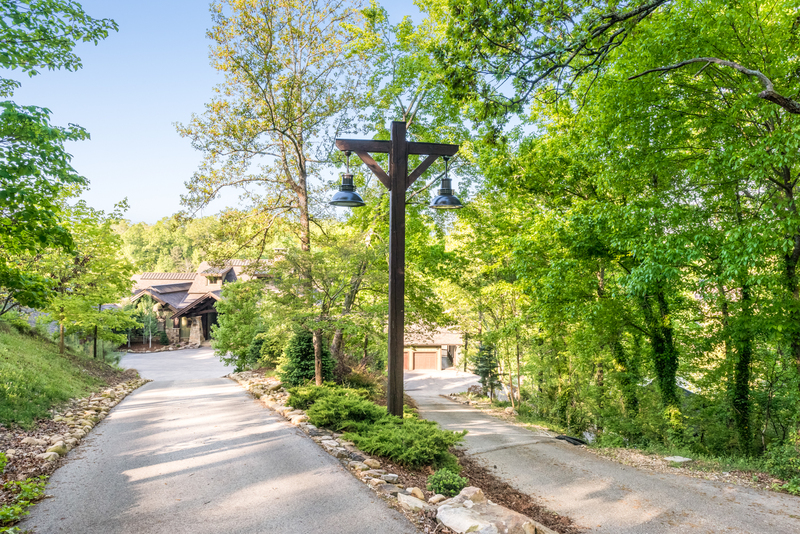 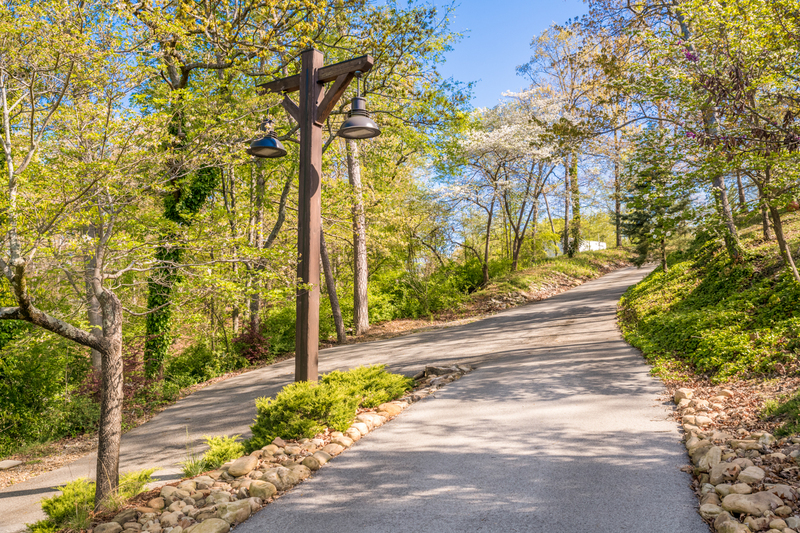 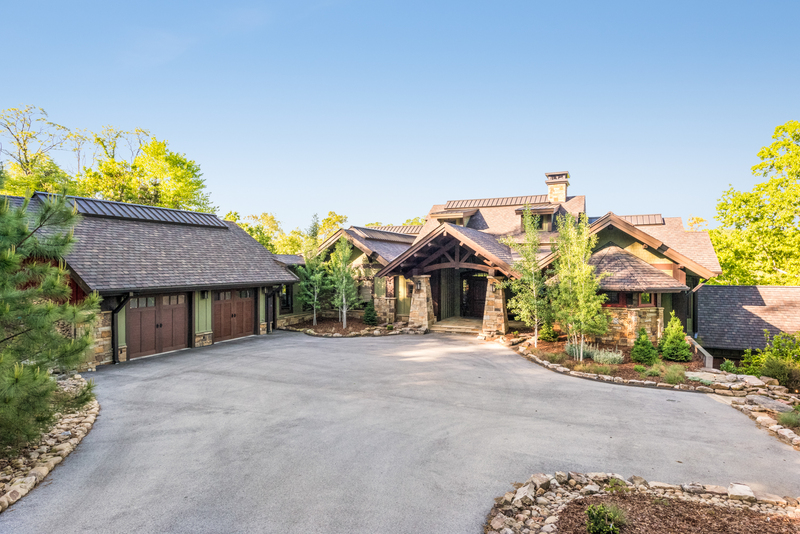 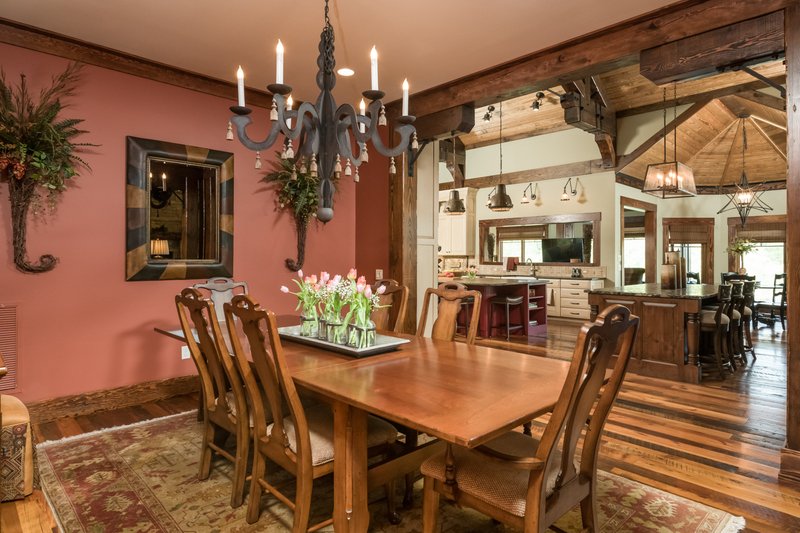 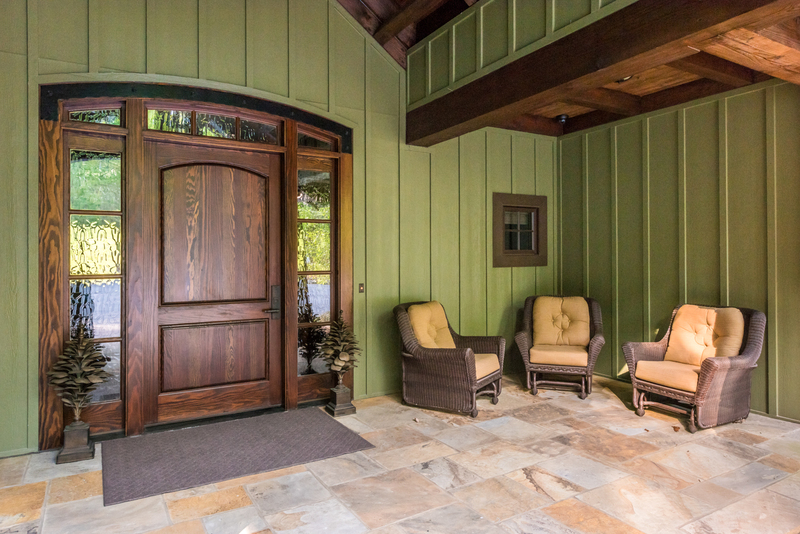 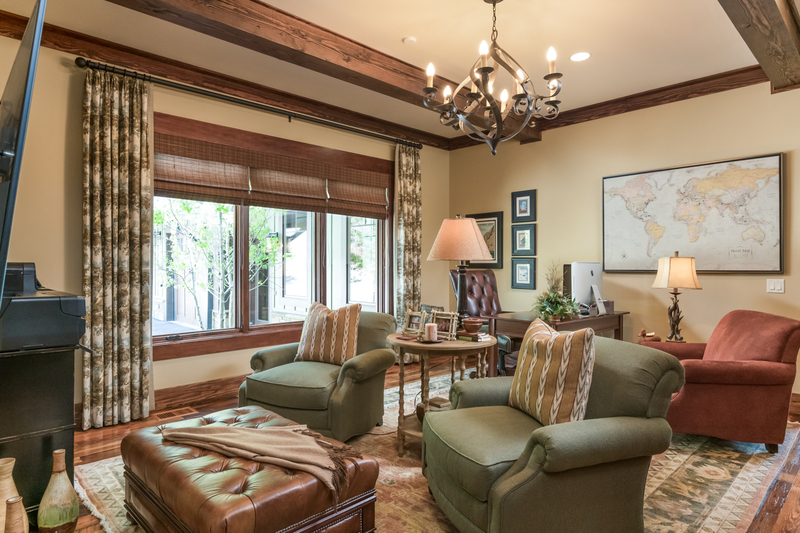 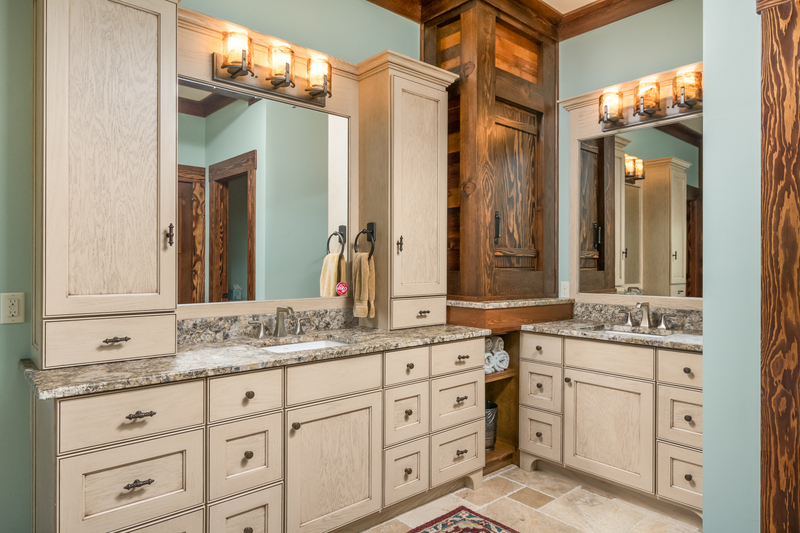 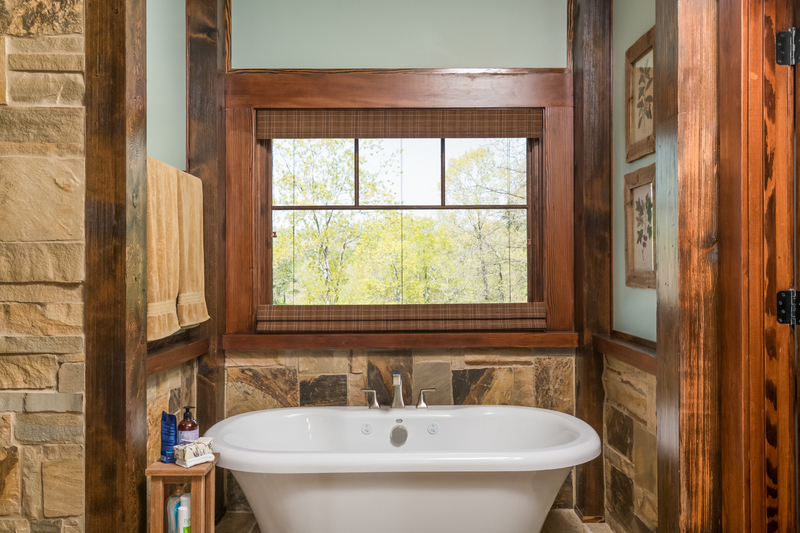 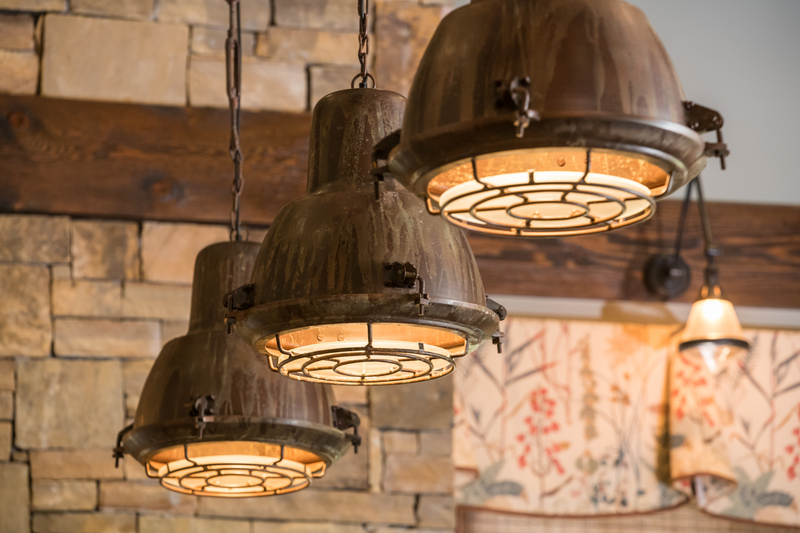 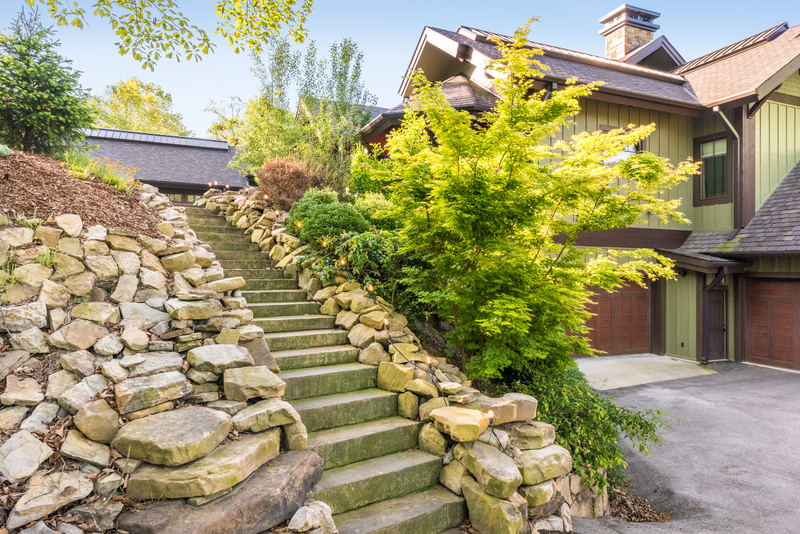 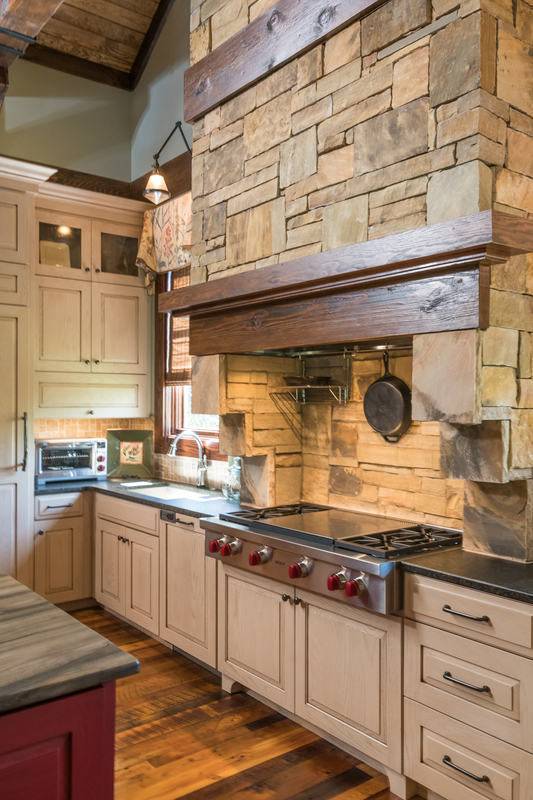 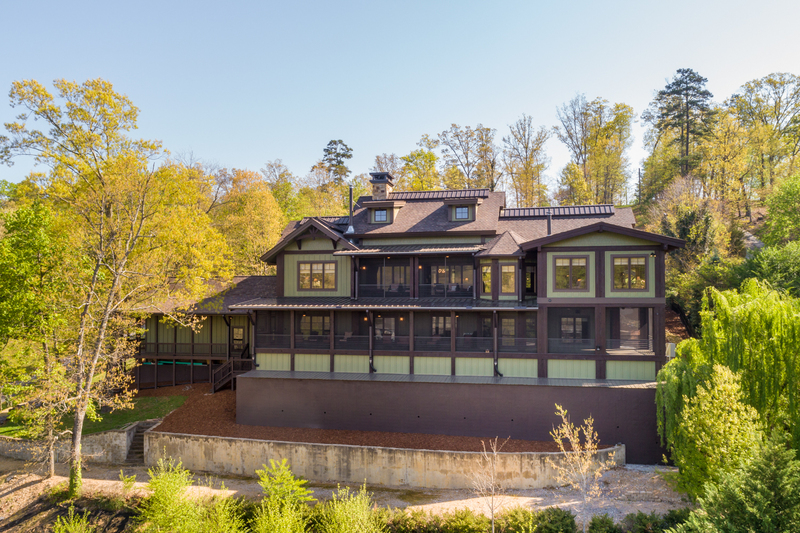 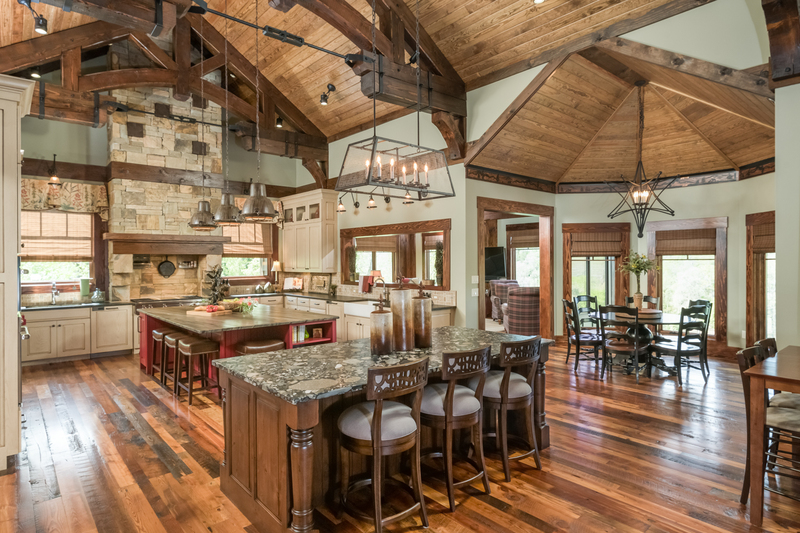 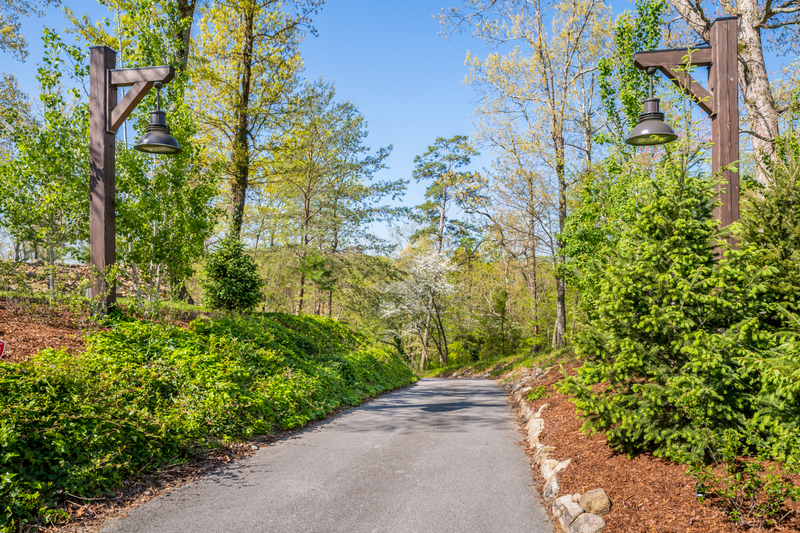 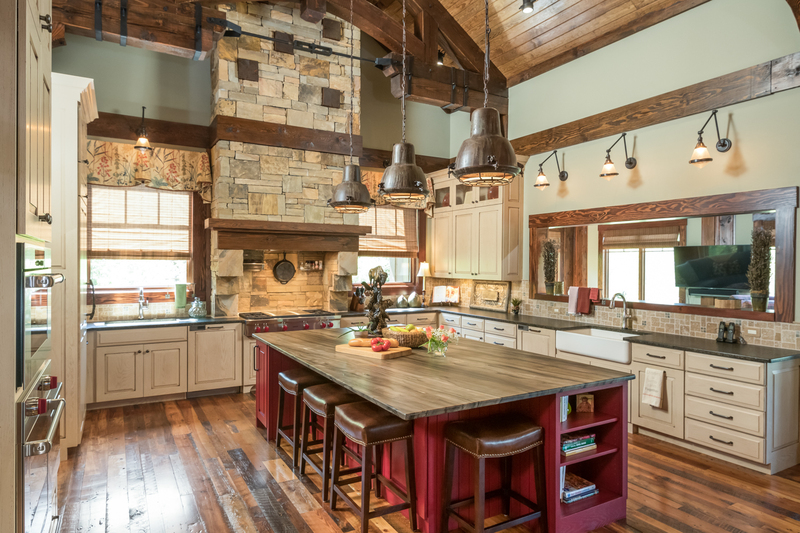 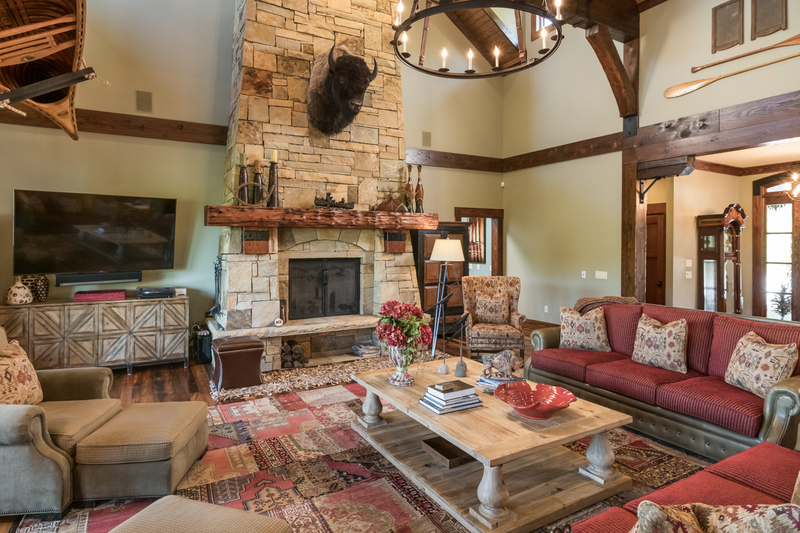 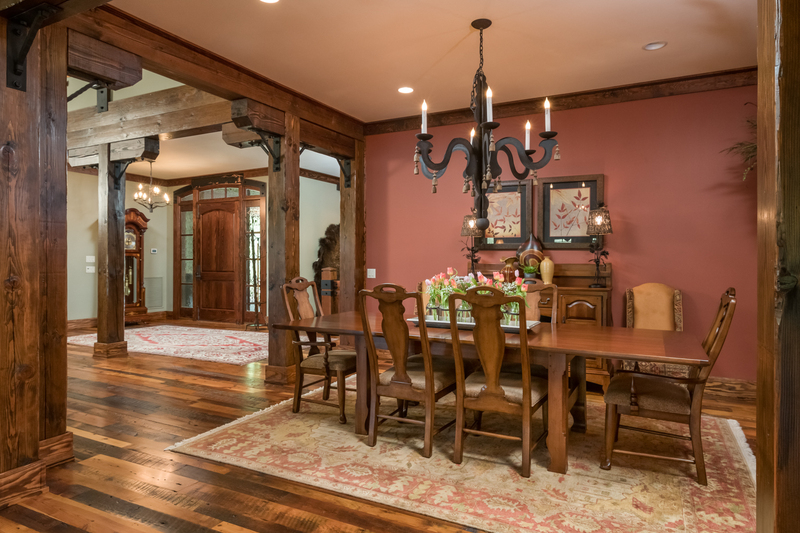 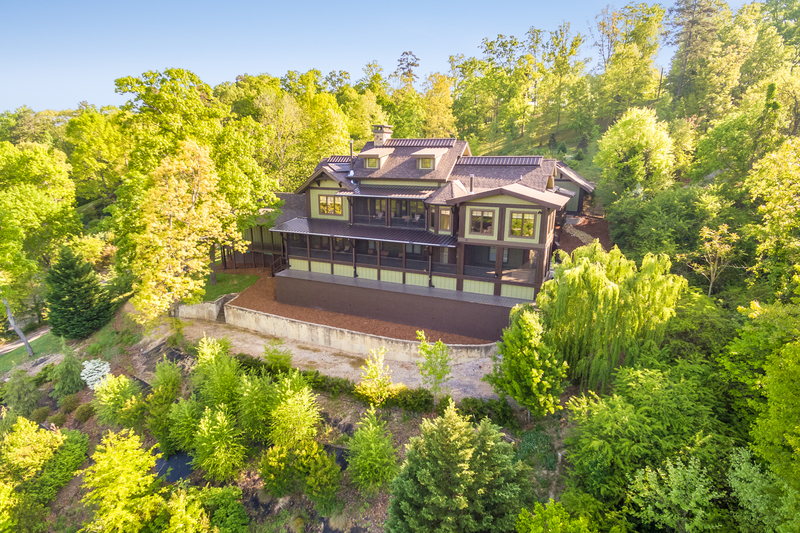 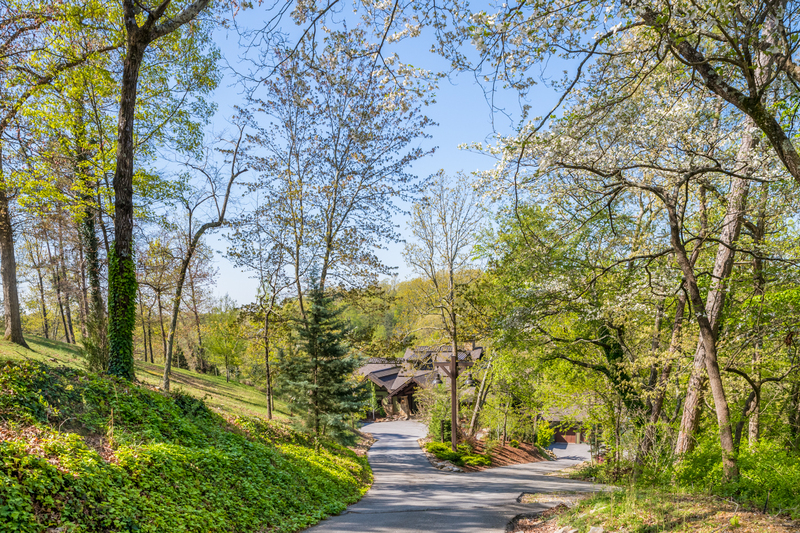 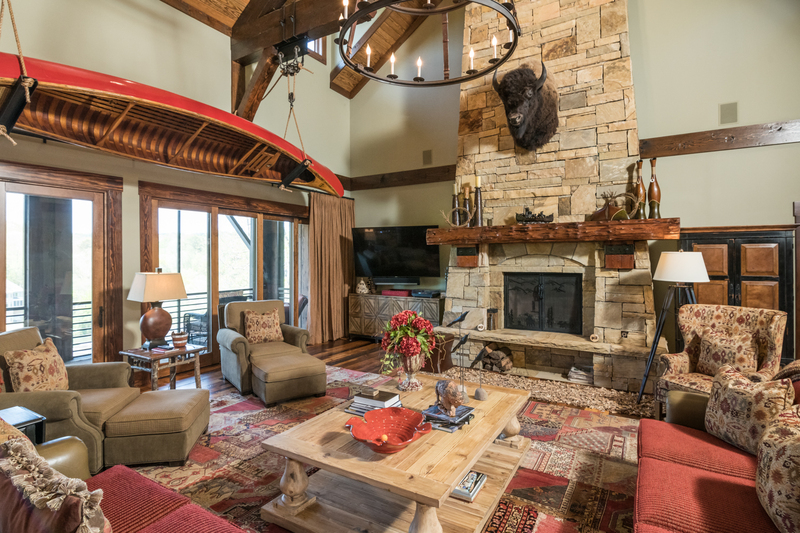 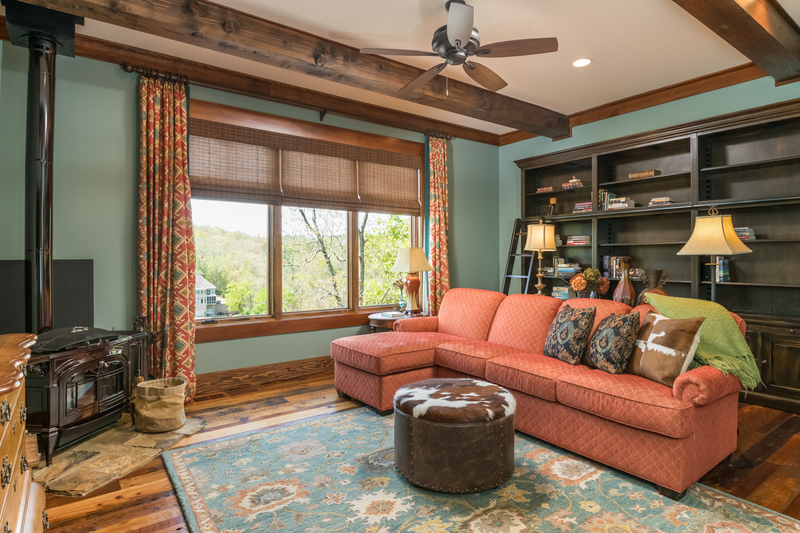 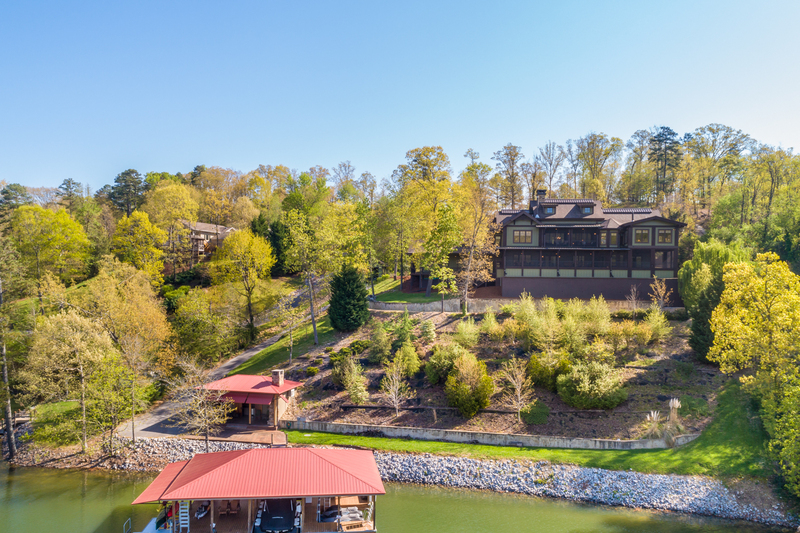 This sprawling home was custom designed in partnership with nationally renowned engineers and Moss Creek, a home design firm whose expertise is known nationwide in designing premier luxury mountain and lake homes. 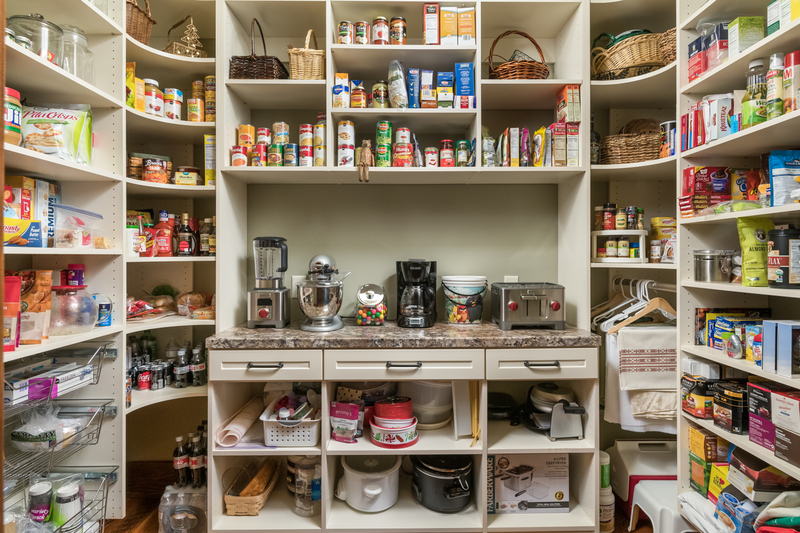 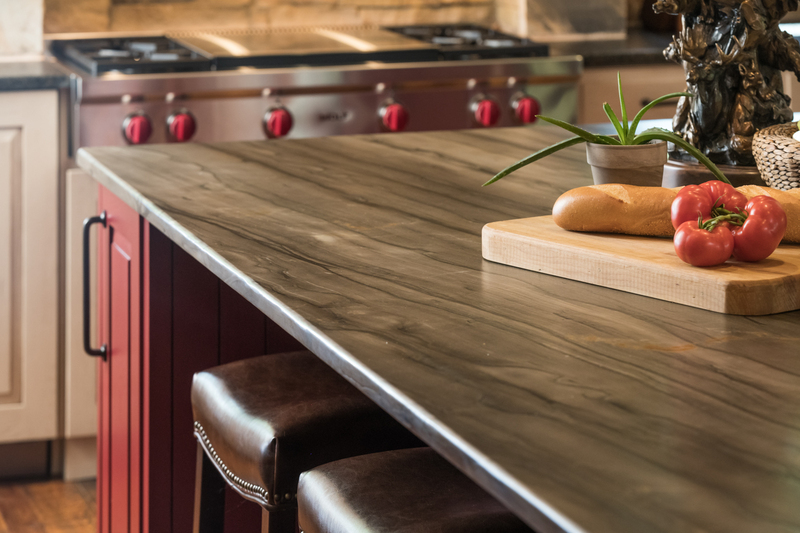 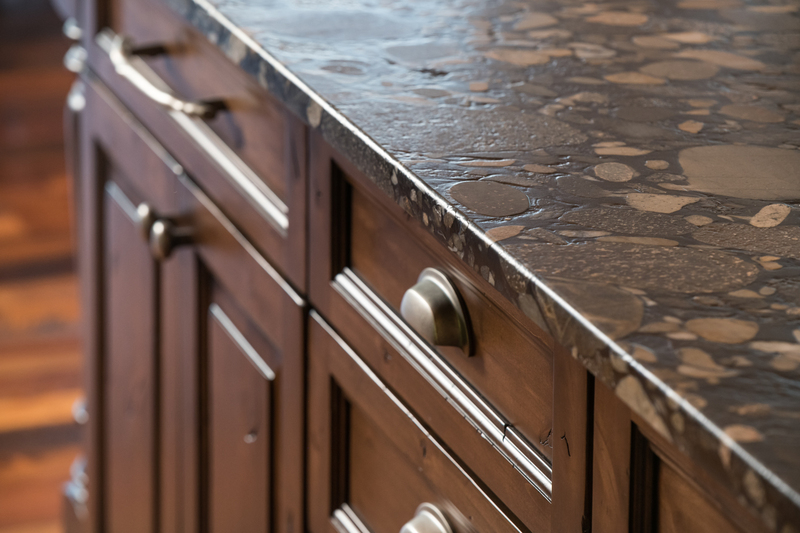 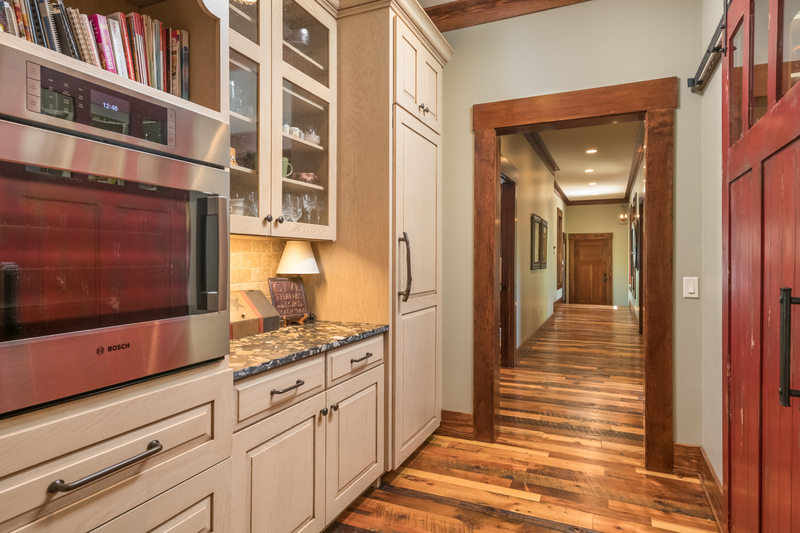 This is a luxury kitchen with custom built-in pellet ice machine, refrigerated set of drawers in island, steam oven, built in over-sized fridge and freezer; two massive islands with one-of-a-kind granite overlays. 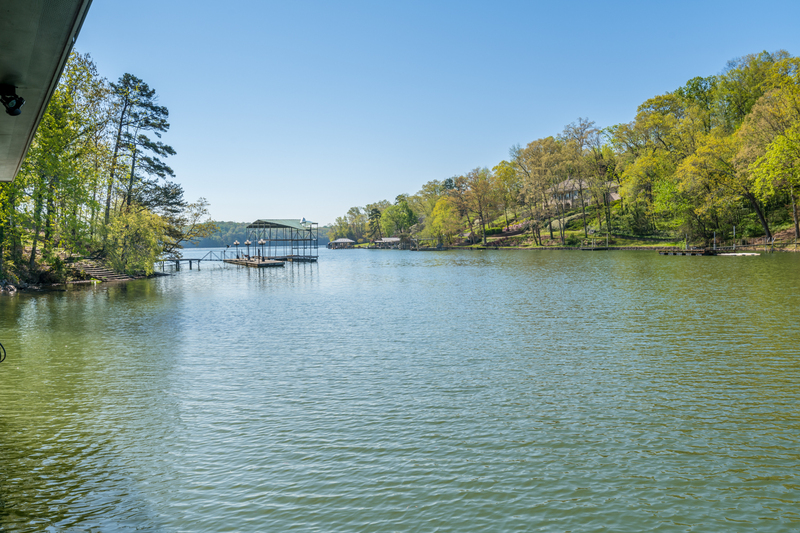 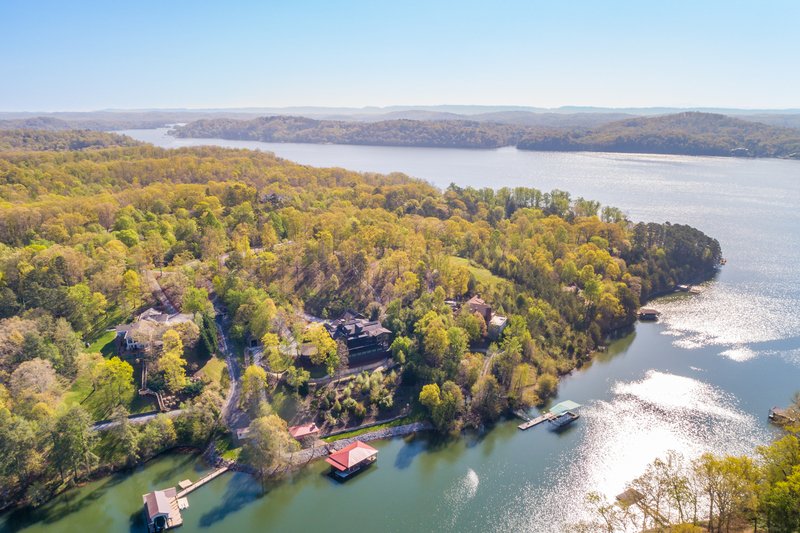 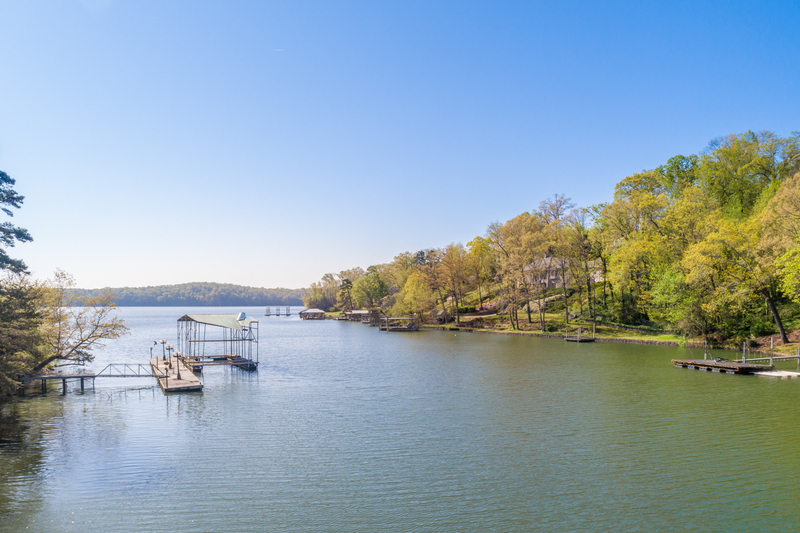 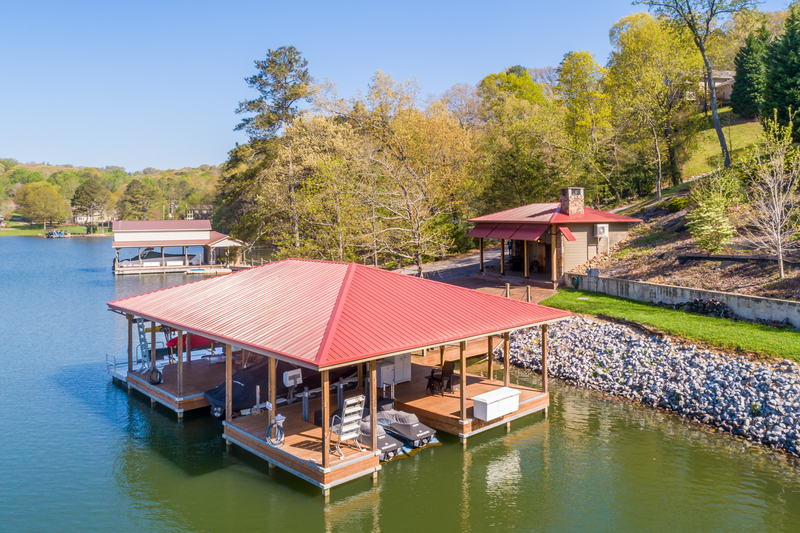 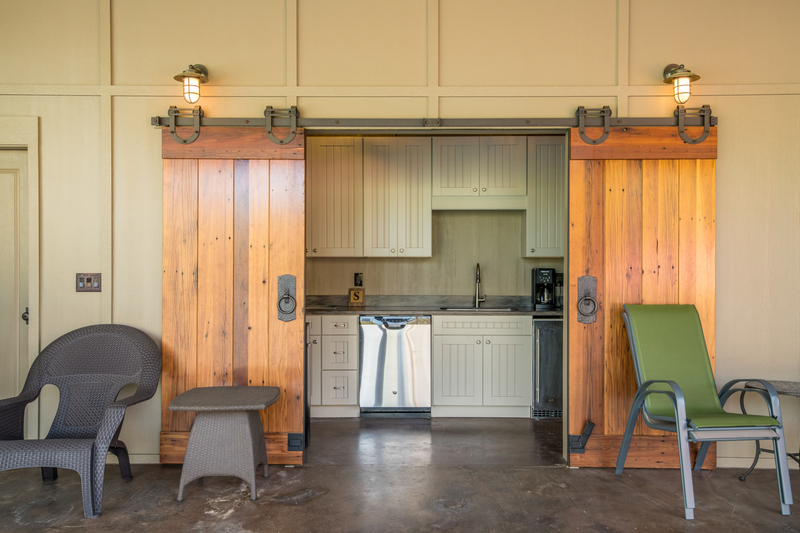 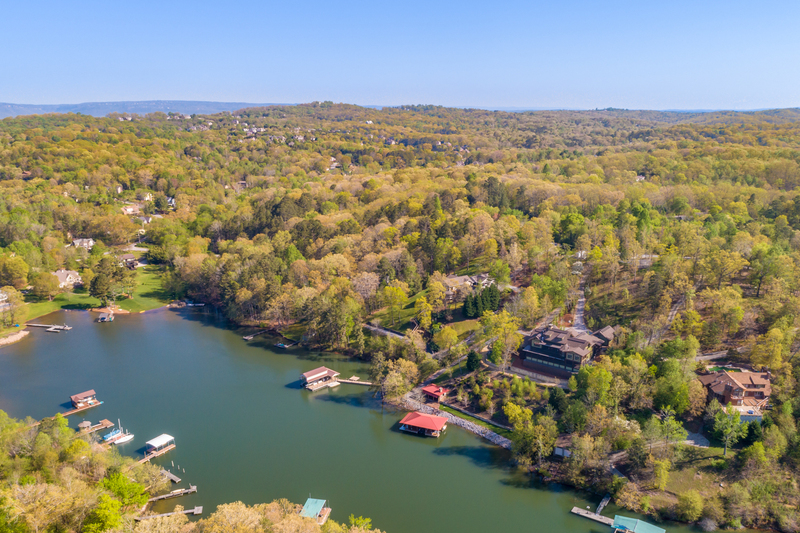 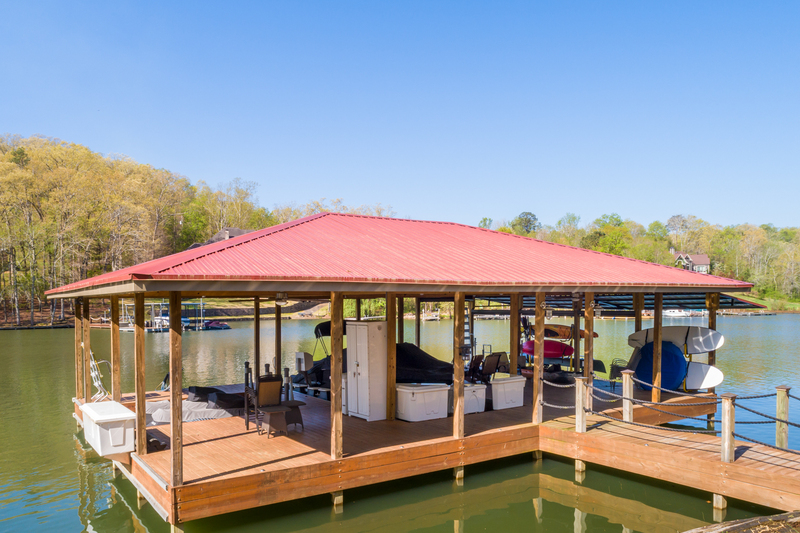 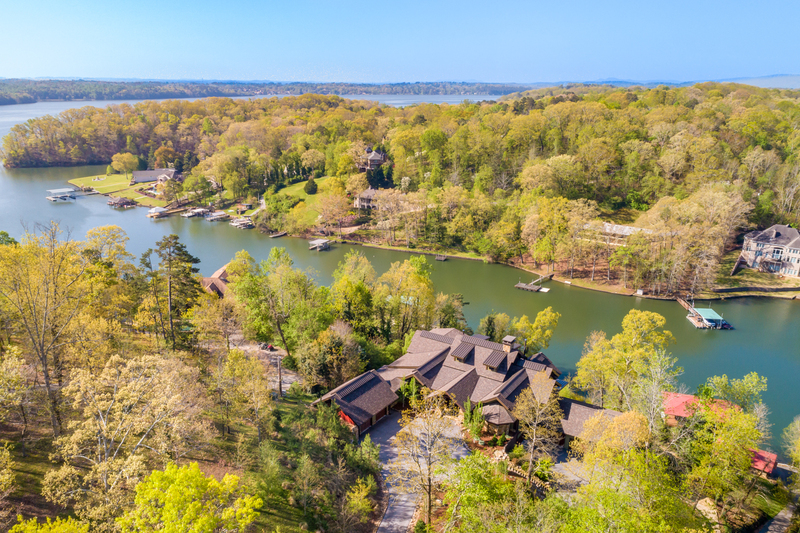 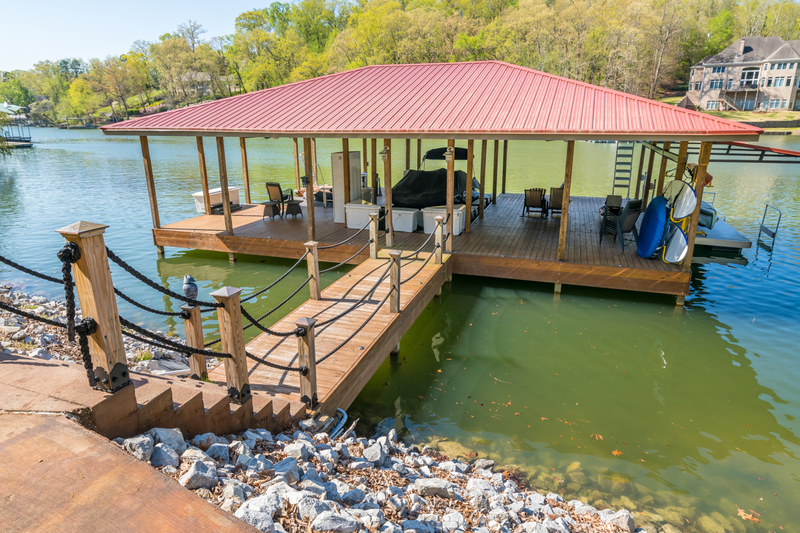 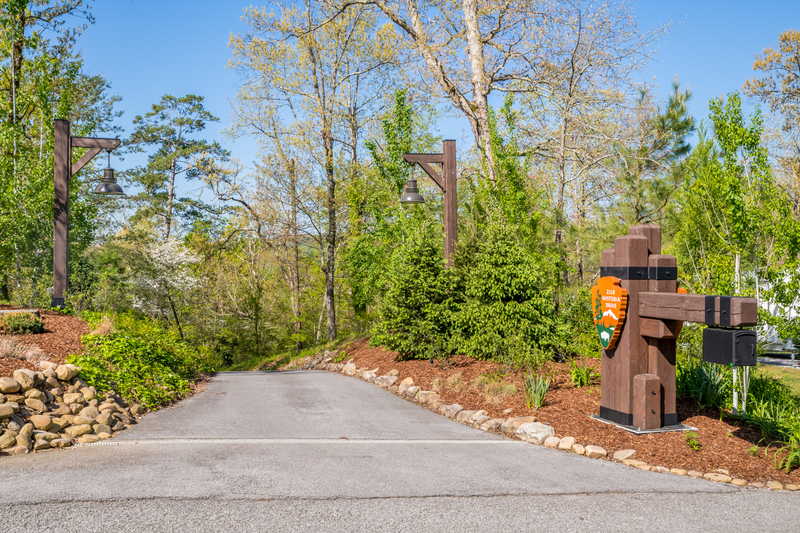 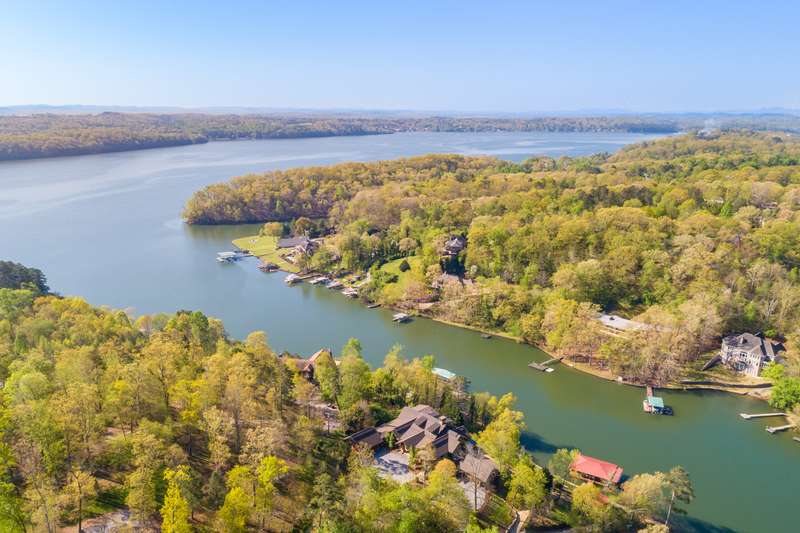 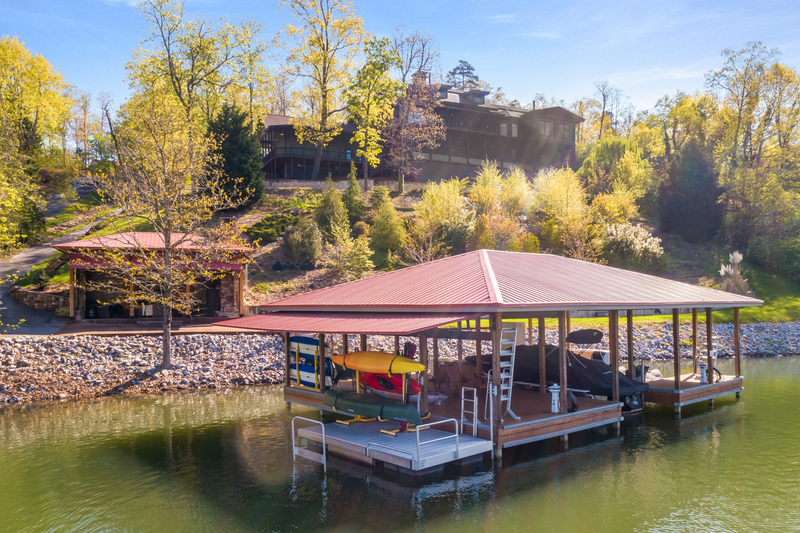 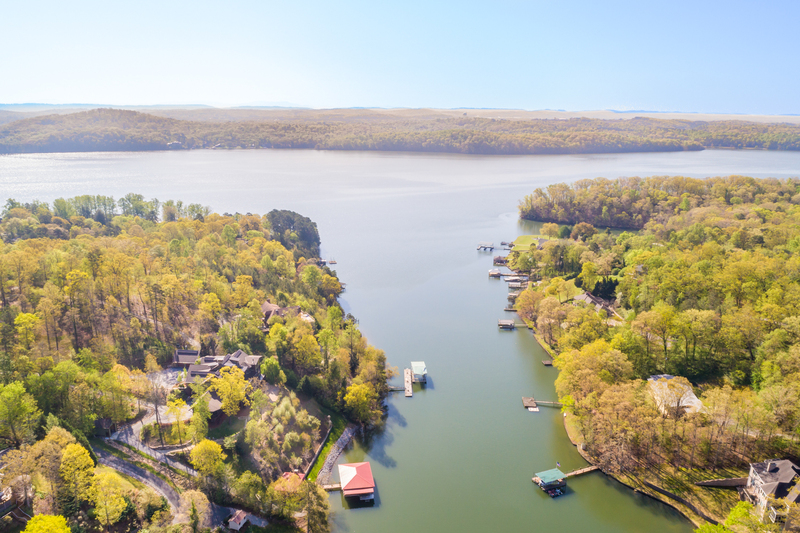 The property features year-round deep water dockside with an over-sized monster dock grandfathered in by TVA. 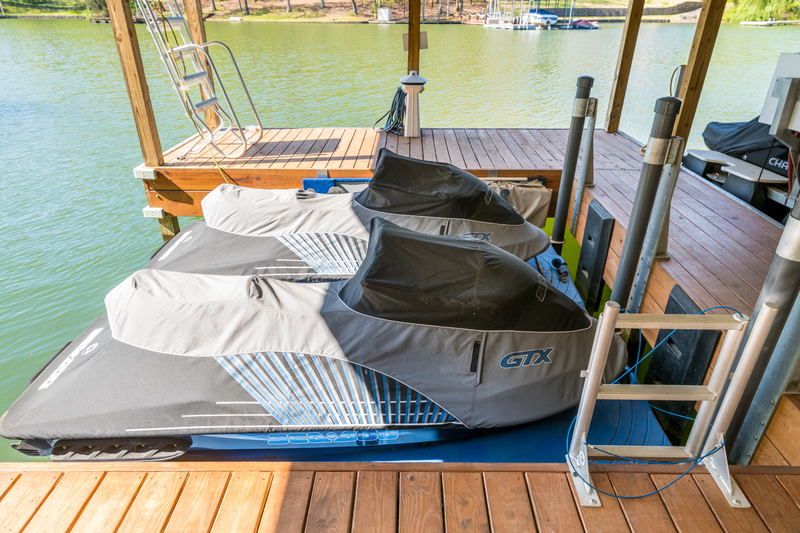 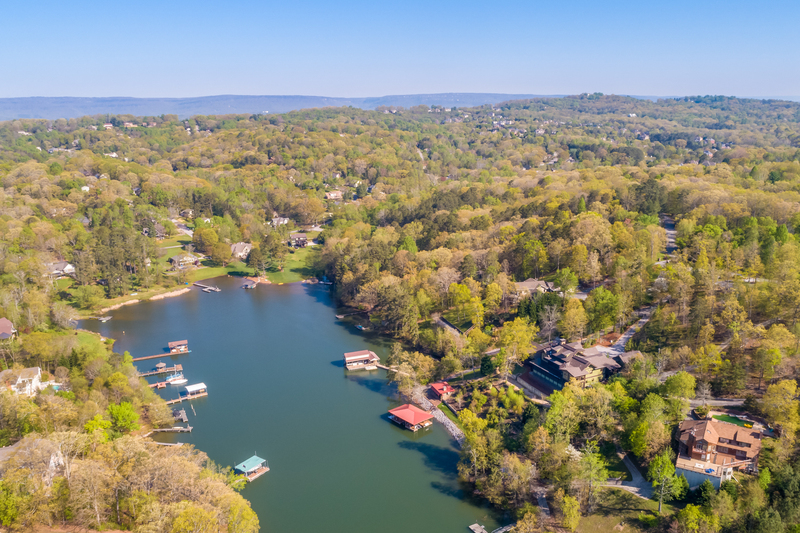 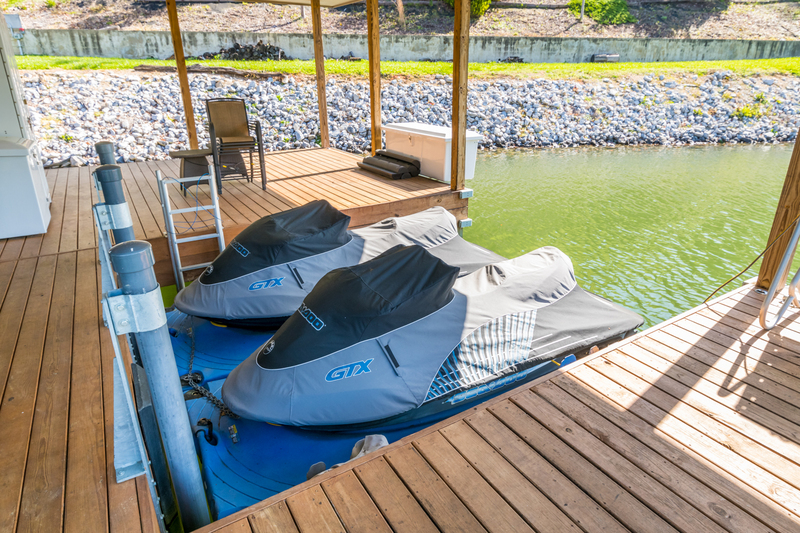 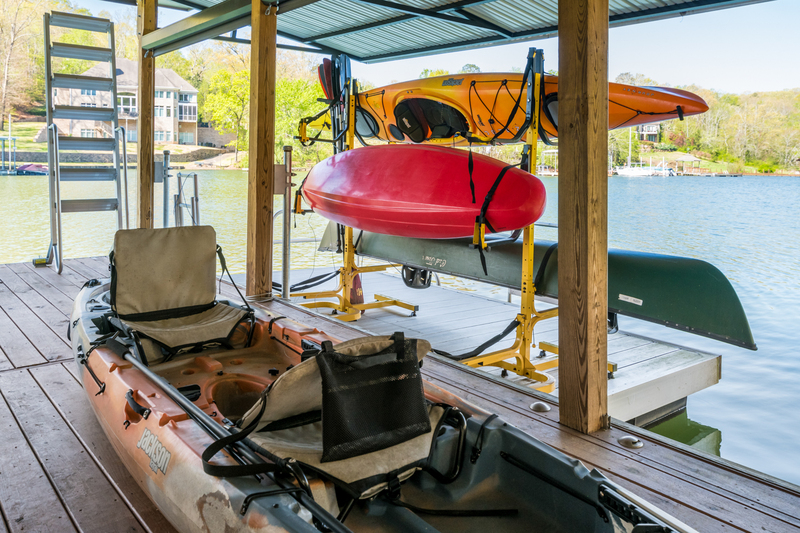 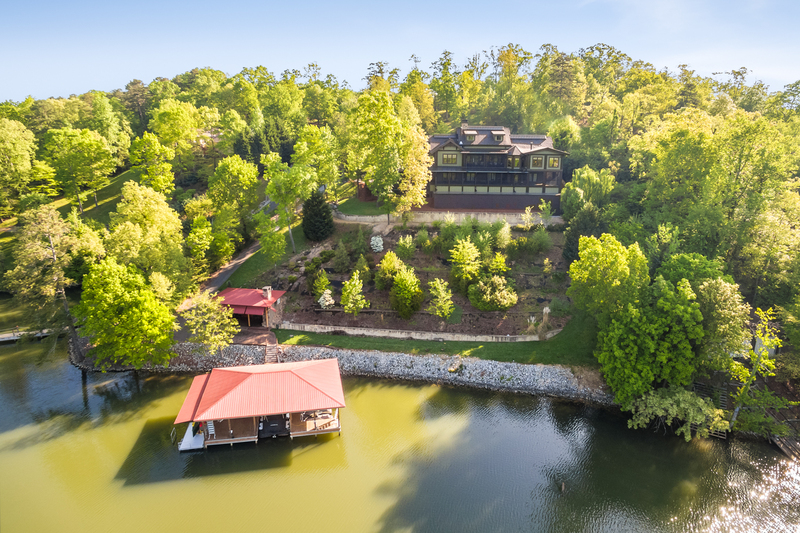 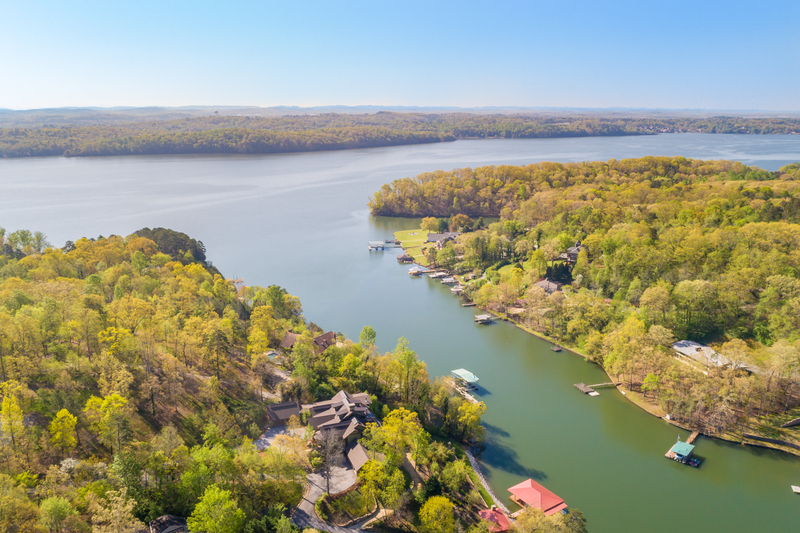 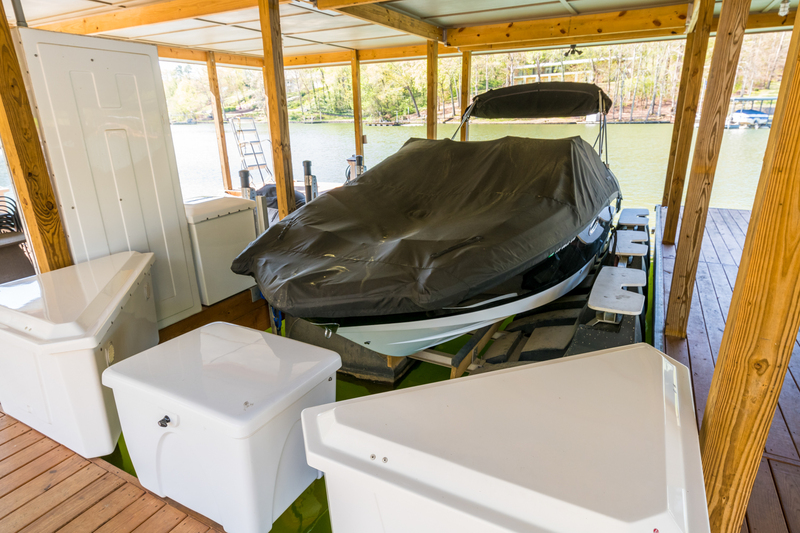 Enjoy water life with a full boat lift, kayak setup, and dual jet ski slip with plenty of decking to accommodate the entire extended family and large parties. 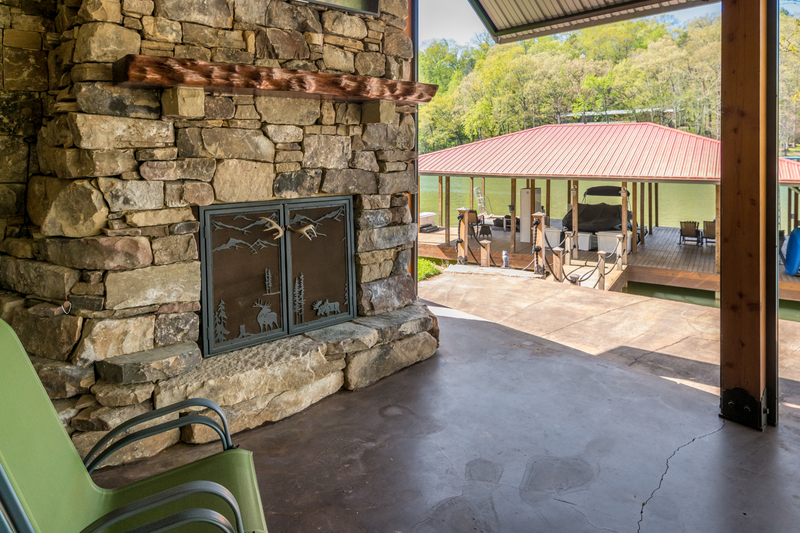 Just off the waterfront, this home features a luxury outdoor entertainment area designed with no expense spared. 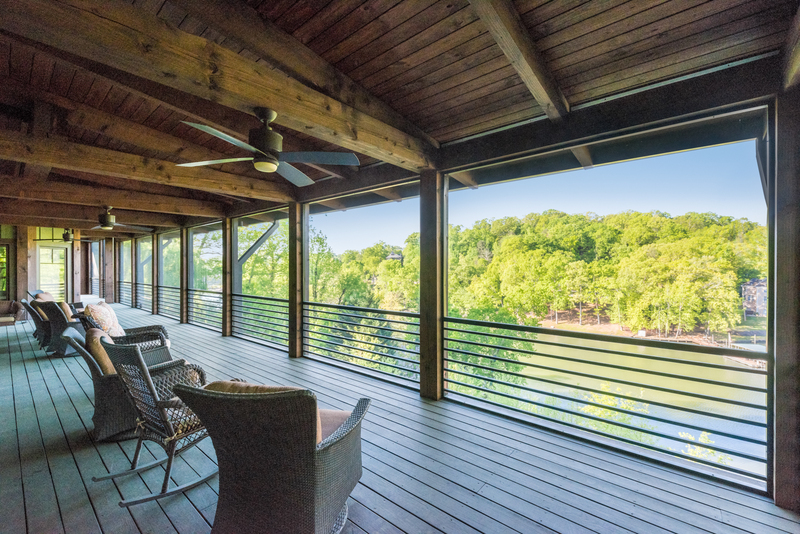 Gorgeous evening sunsets off the water call for engaging the remote sun screens in the outdoor entertainment space. 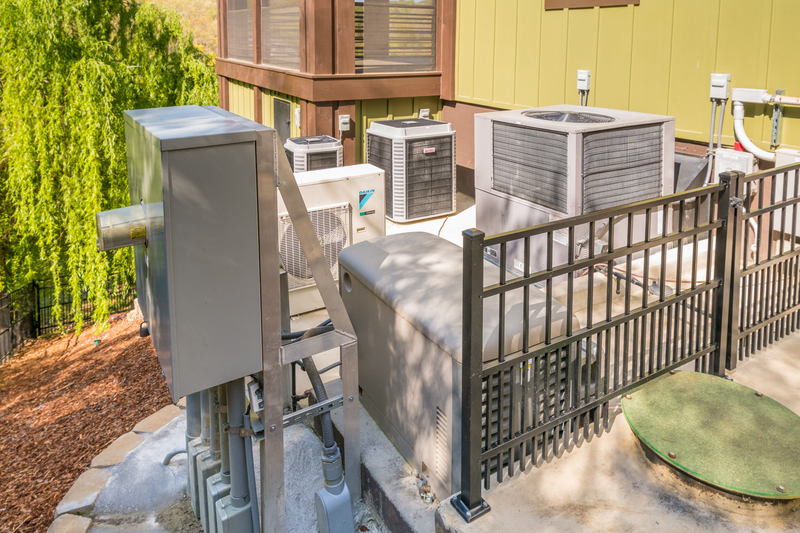 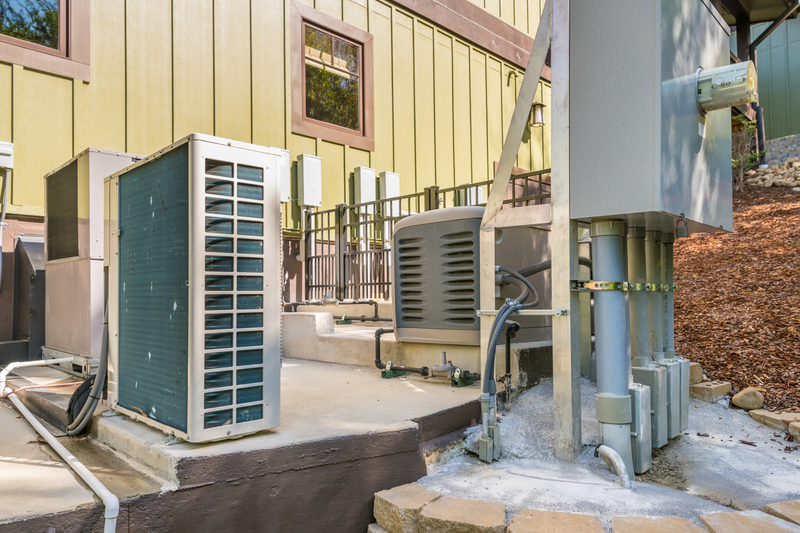 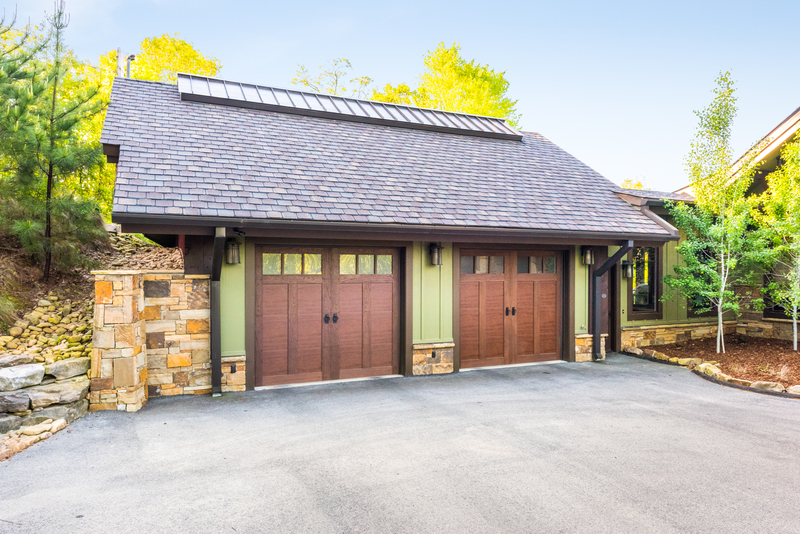 Smart systems control all systems by an app remotely including all garage doors, security cameras, thermostats, TVs, and sound systems. 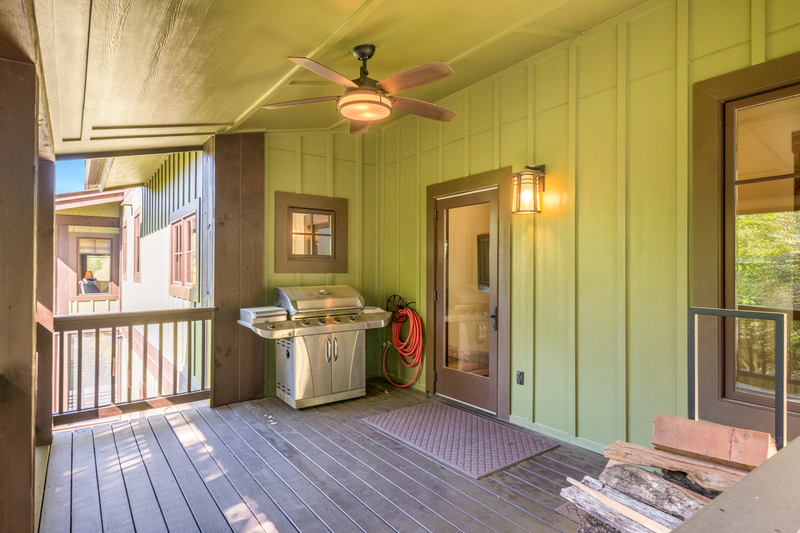 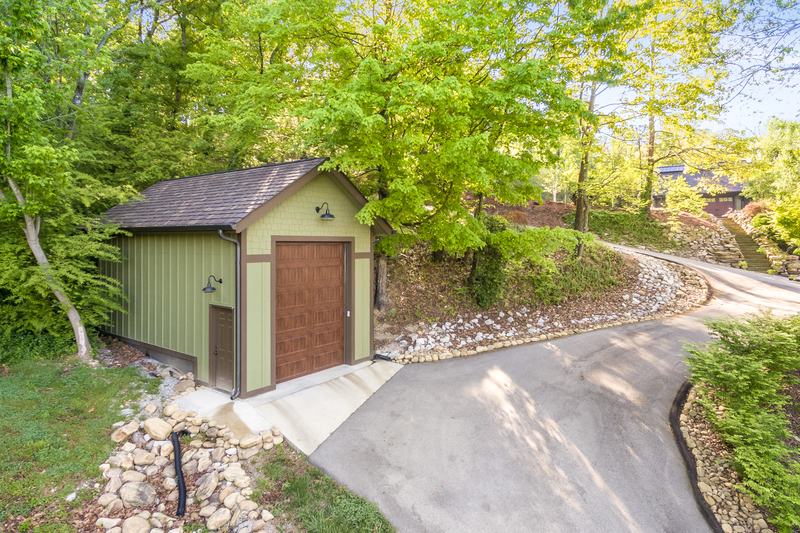 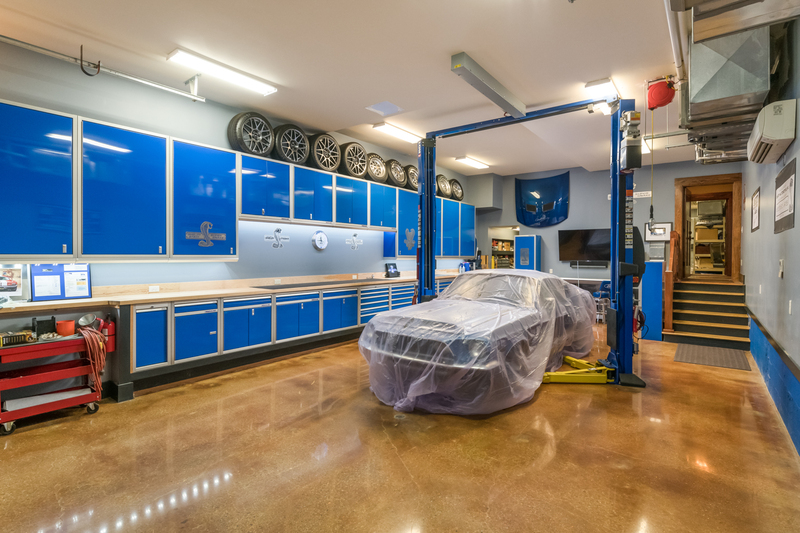 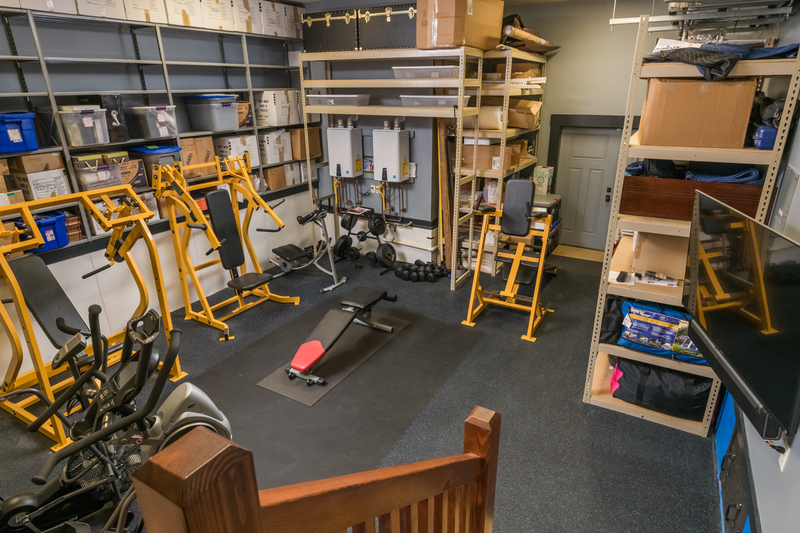 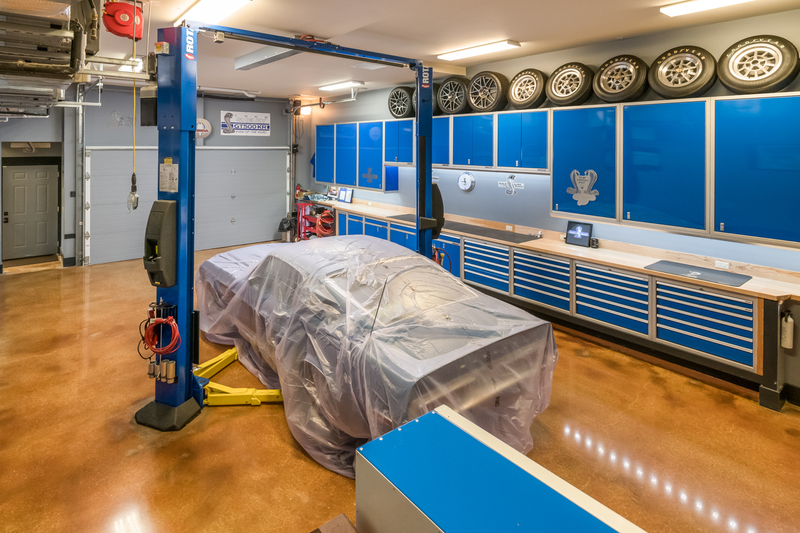 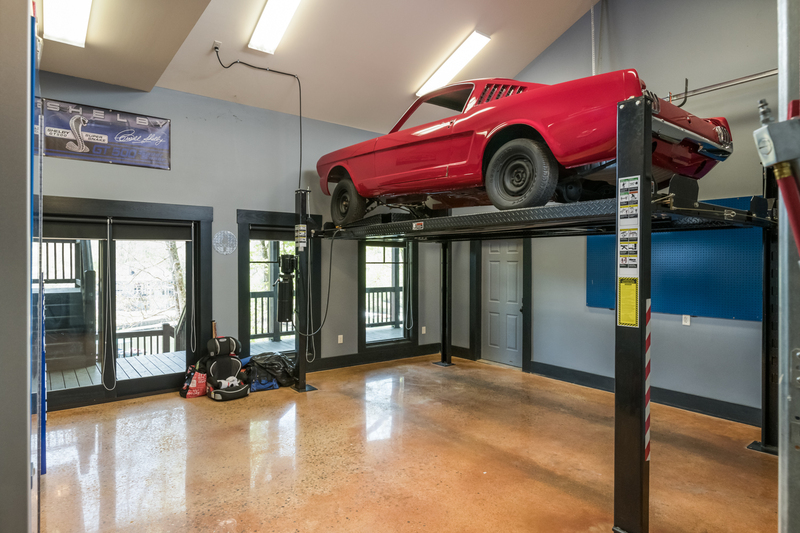 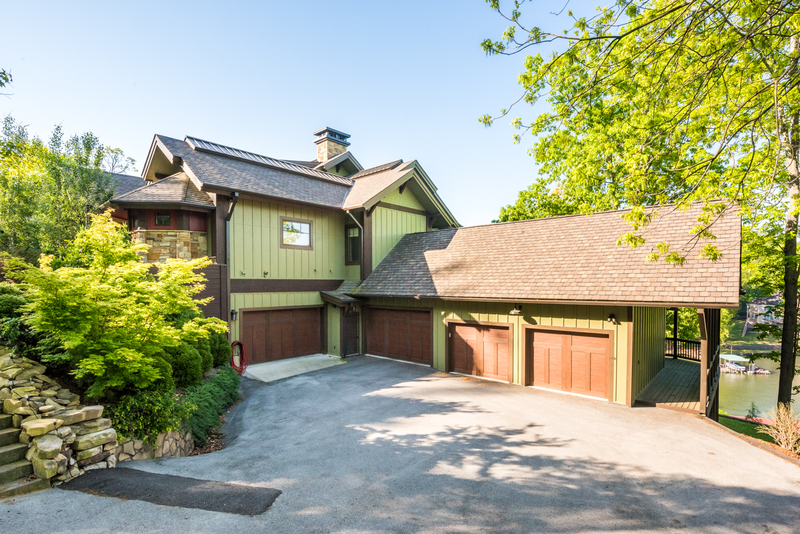 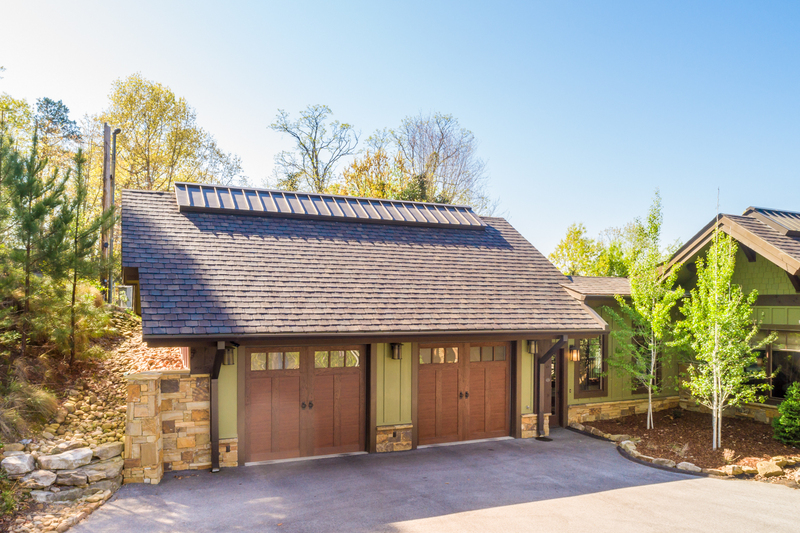 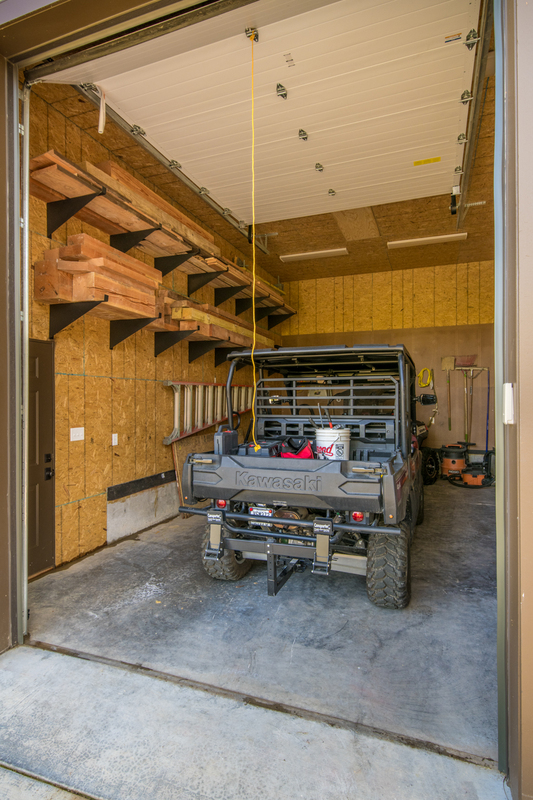 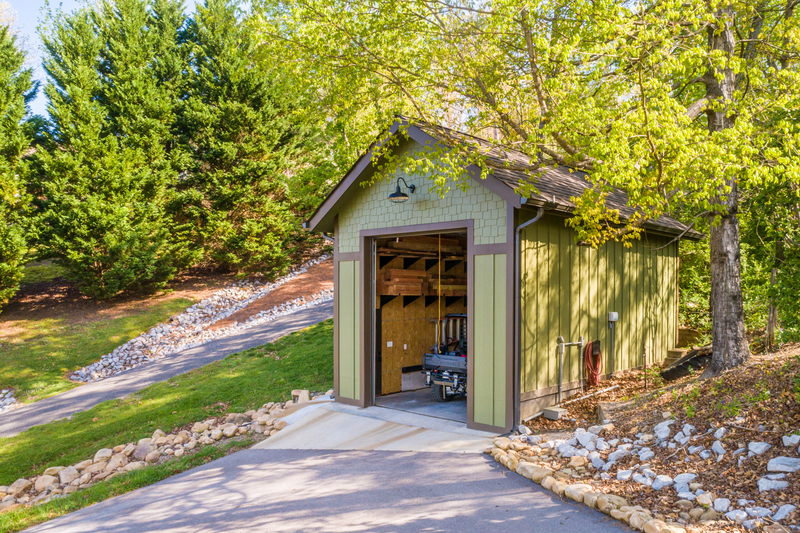 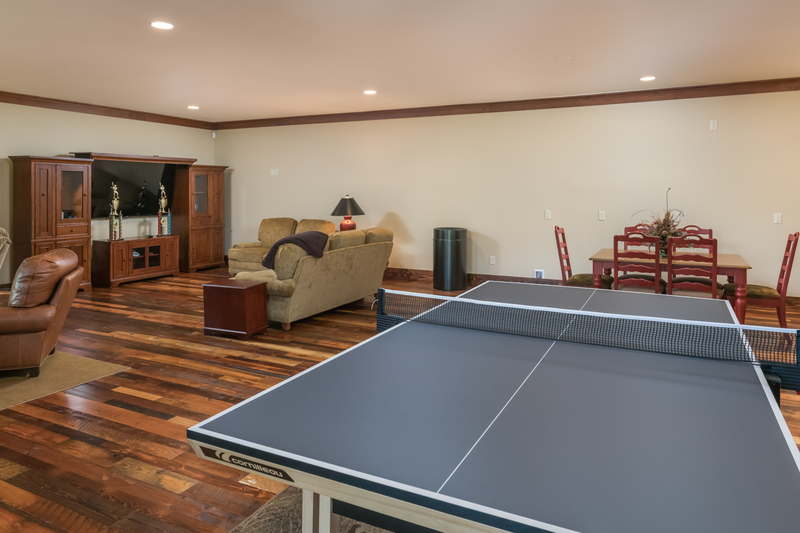 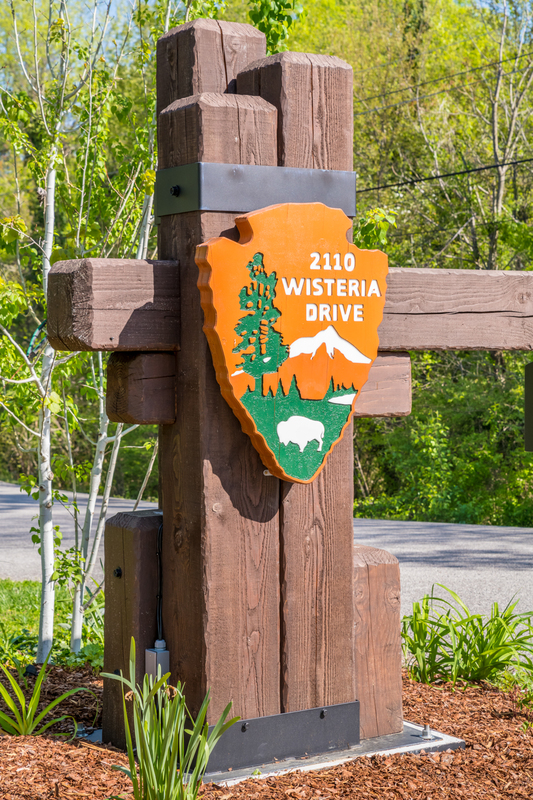 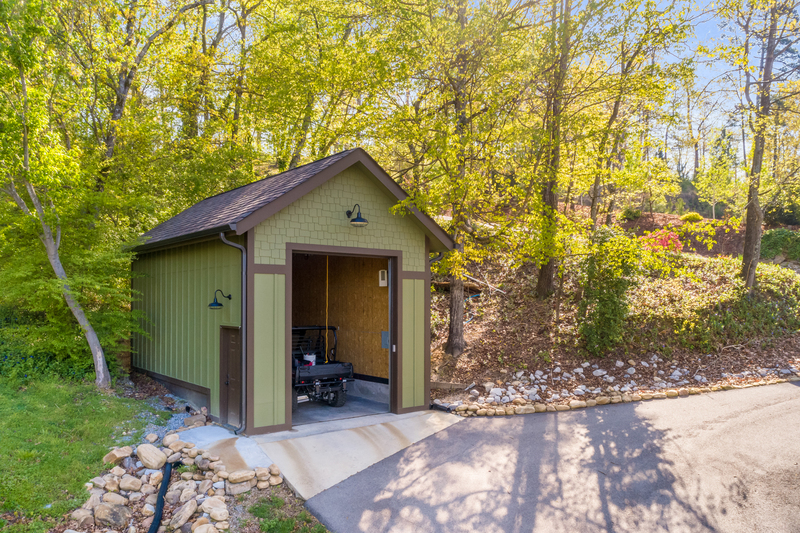 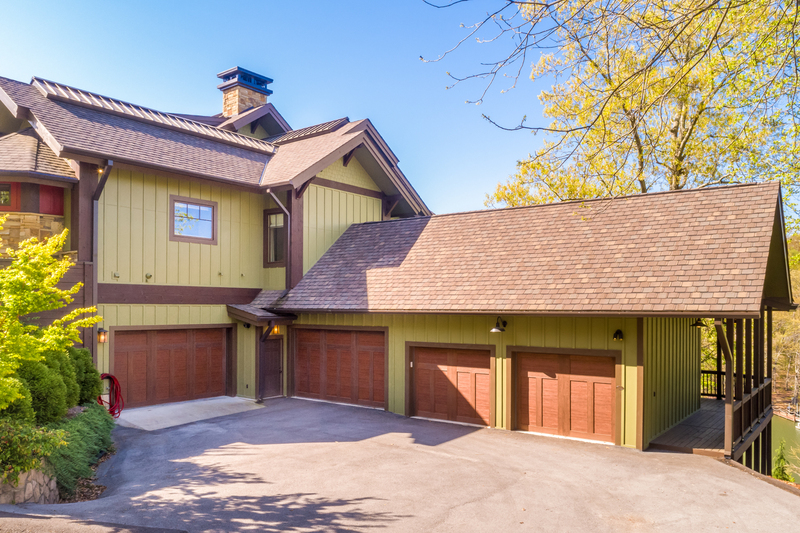 This home is an auto-enthusiast's playground with 7 garages, two hydraulic lifts, tons of storage, and a separate RV garage. 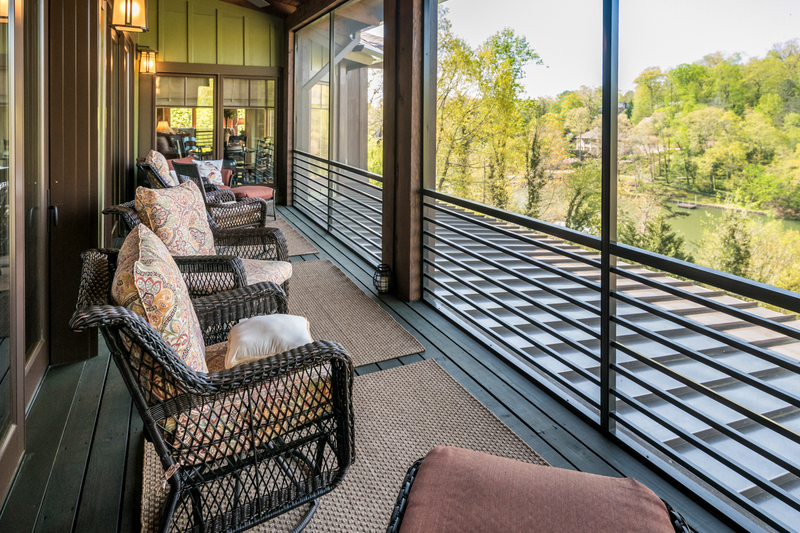 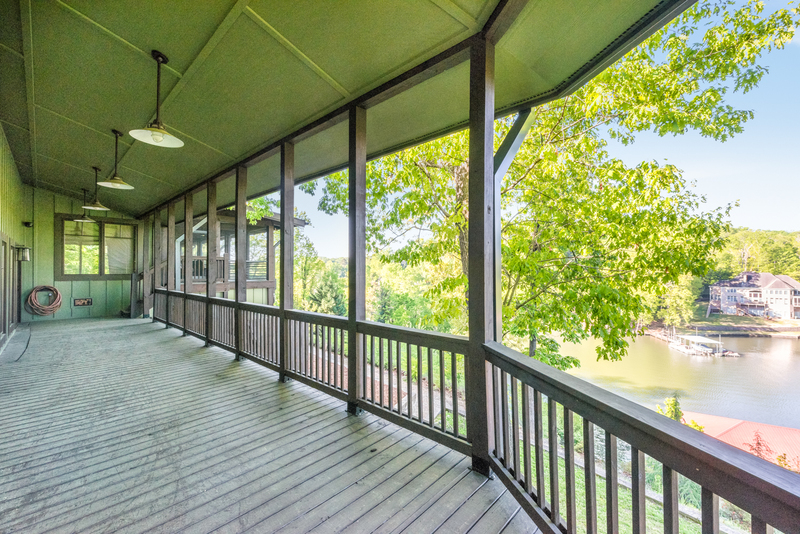 Gorgeous views off of extended multi-level outdoor porches, fully screened. 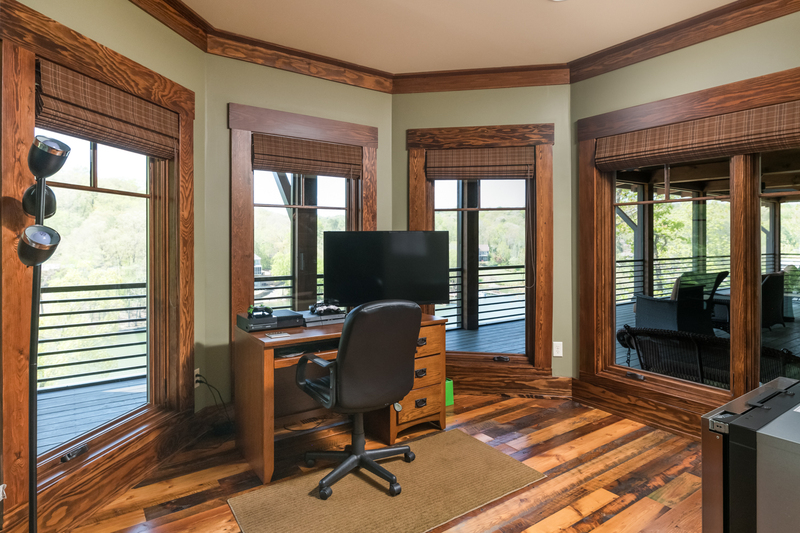 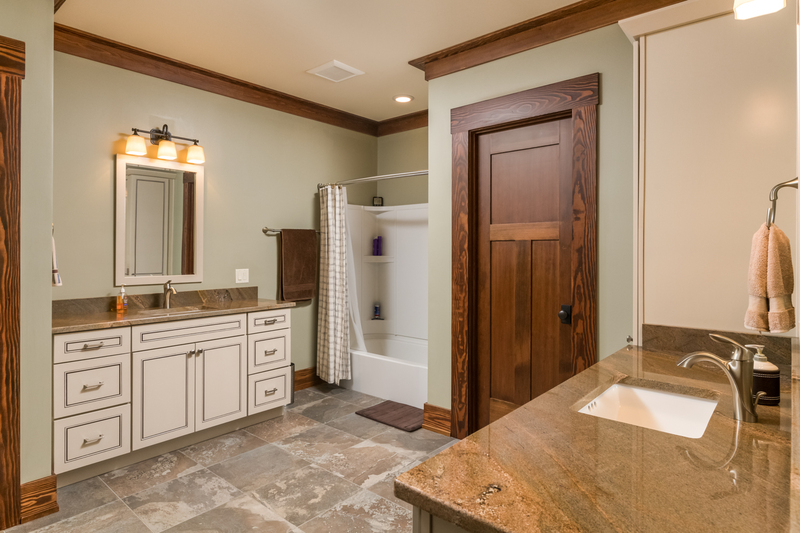 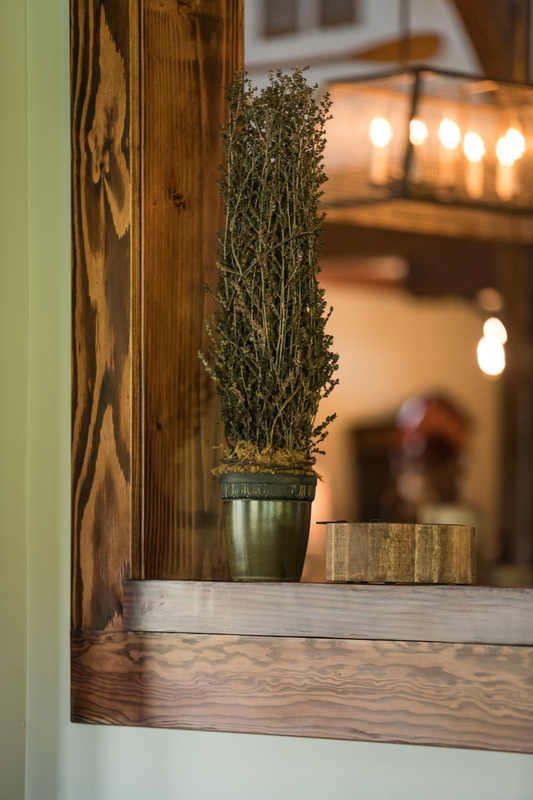 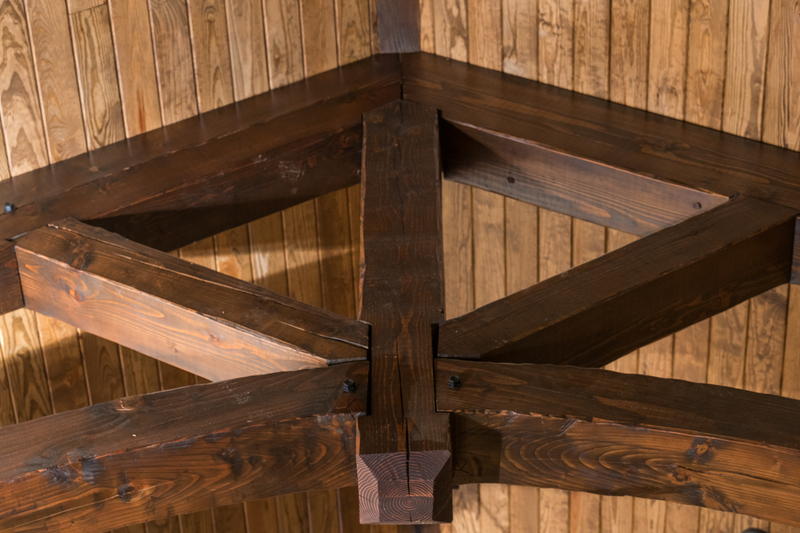 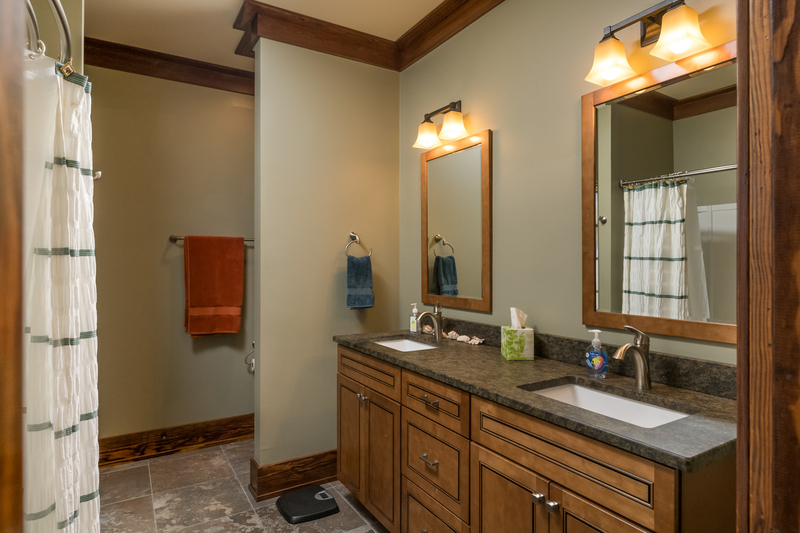 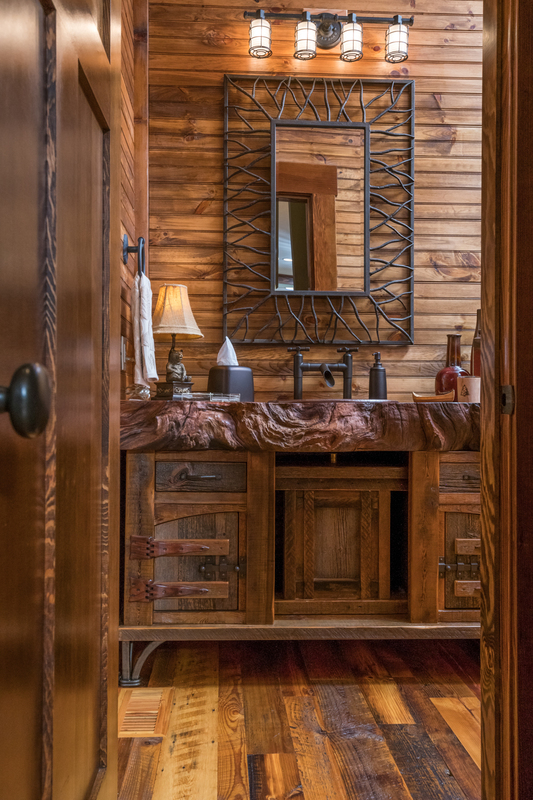 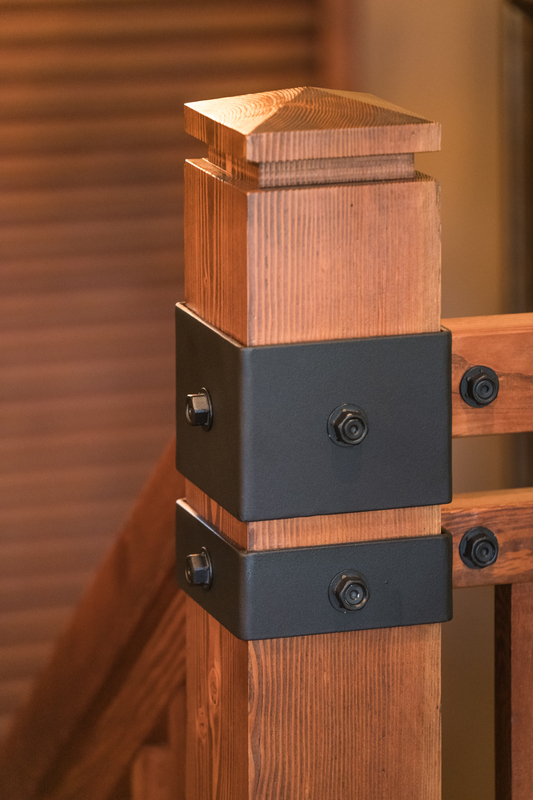 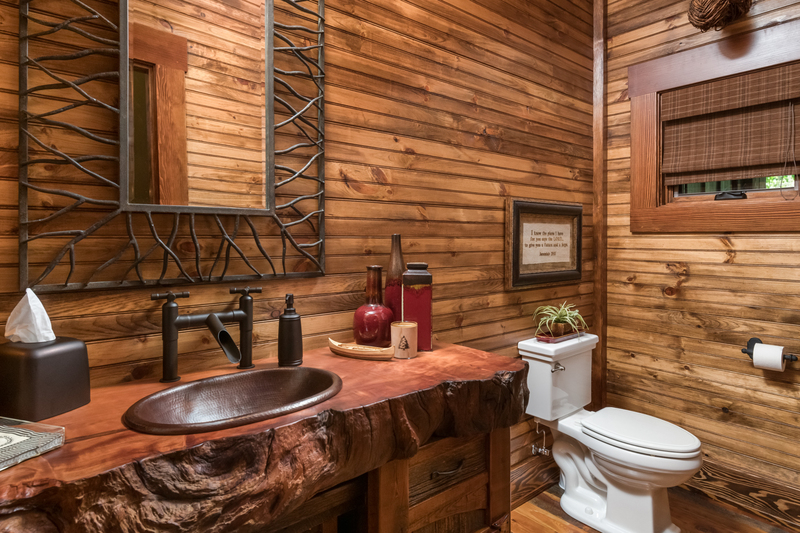 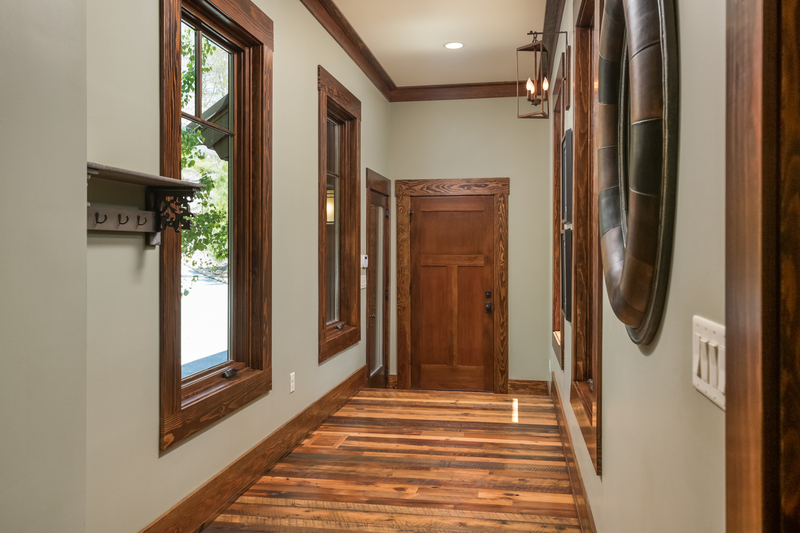 Home features accents of imported redwood from California. 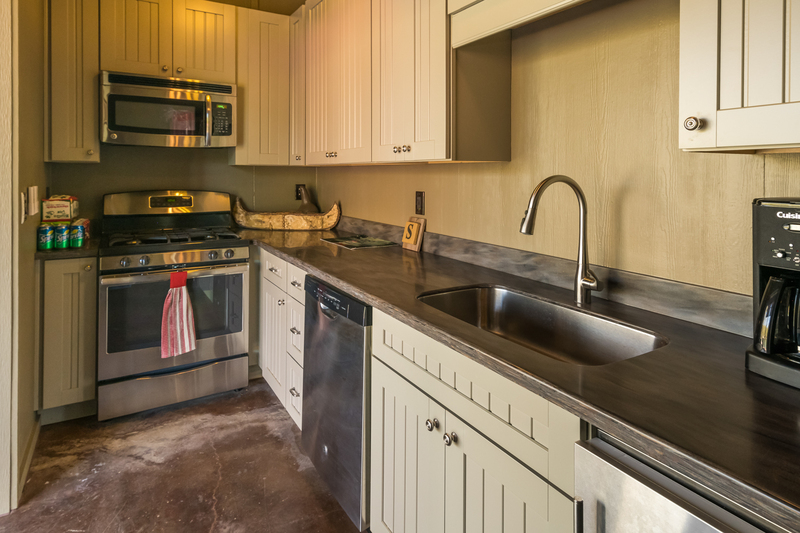 The downstairs entertainment area is fully wired and plumbed for a full kitchen. 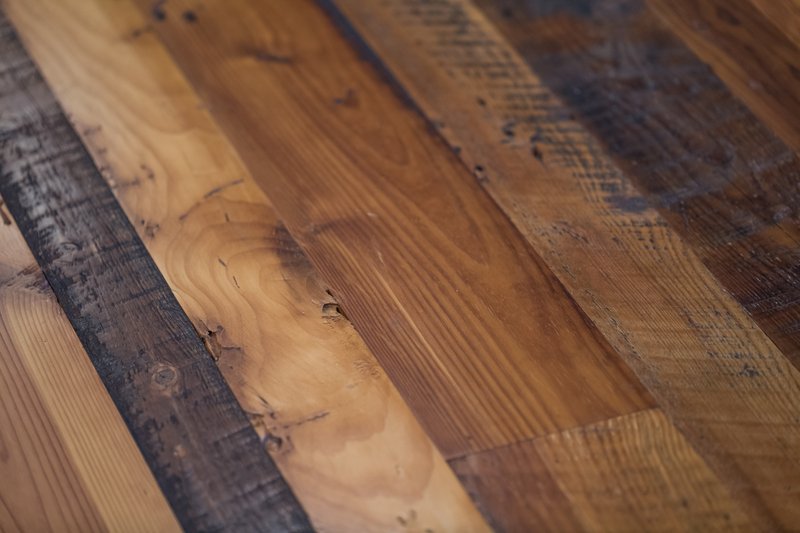 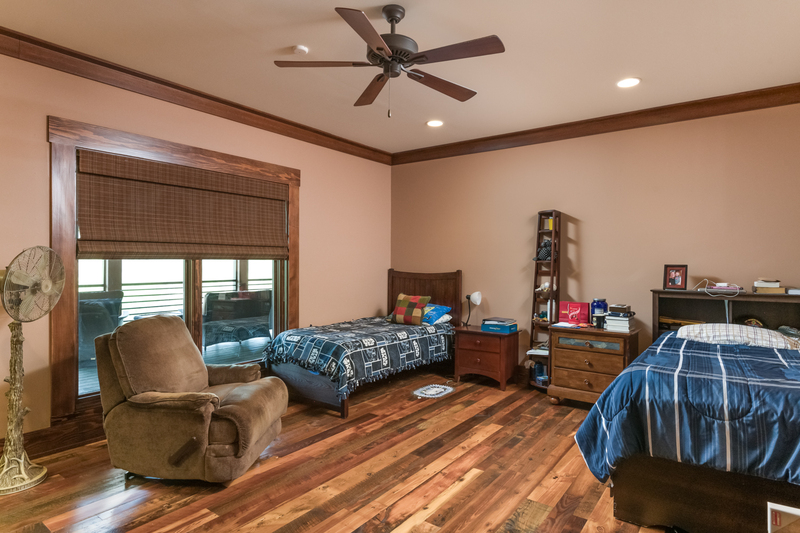 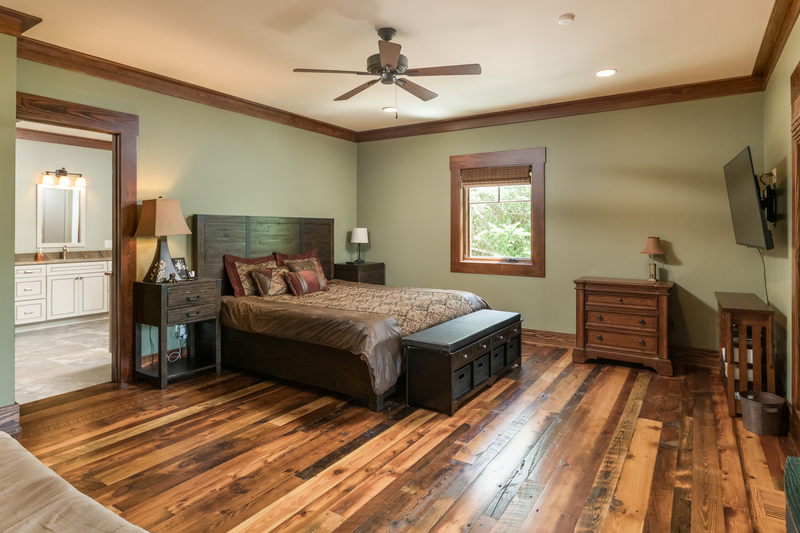 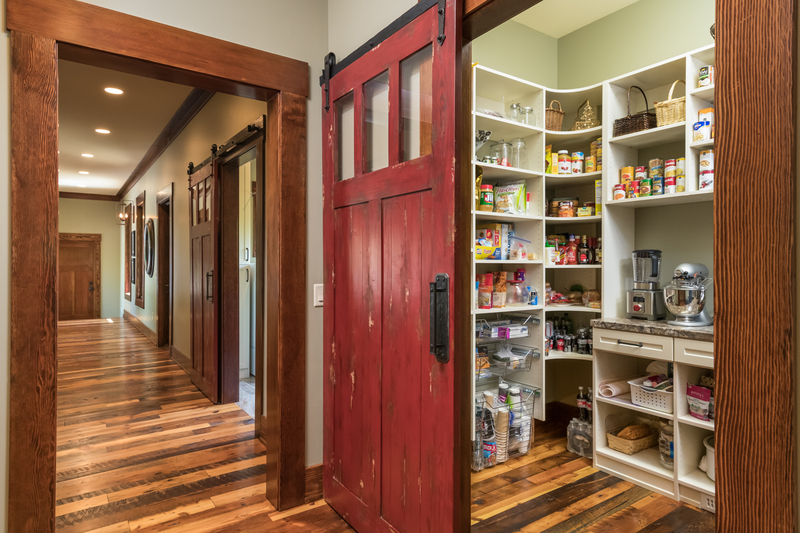 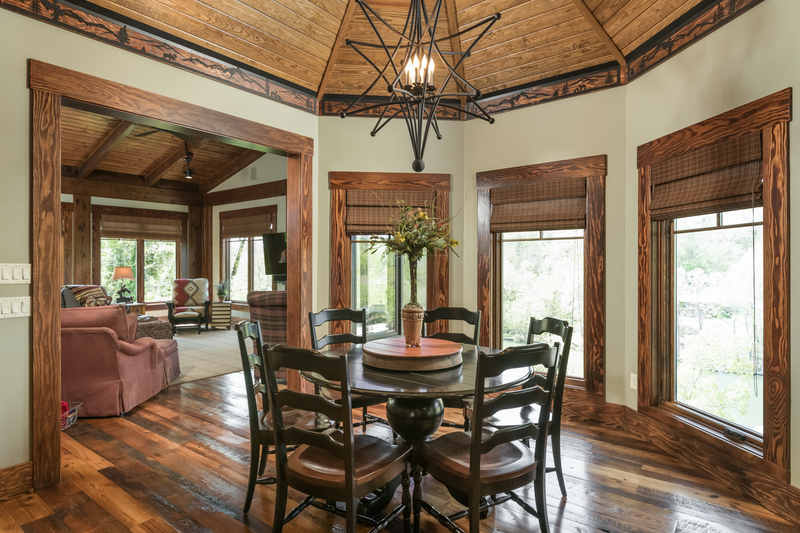 Reclaimed barn tobacco wood floors throughout the house. 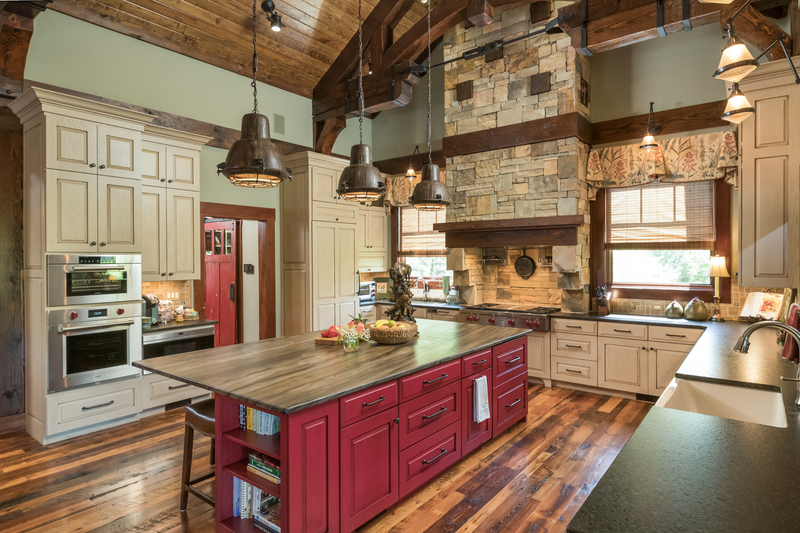 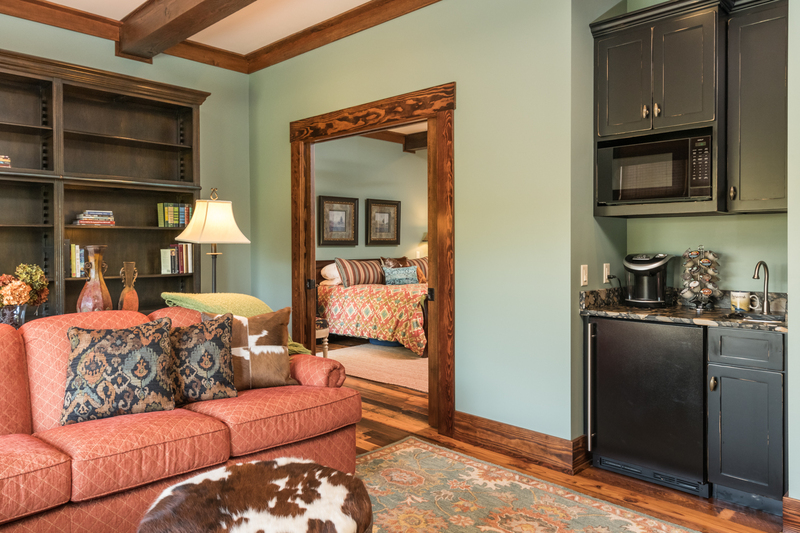 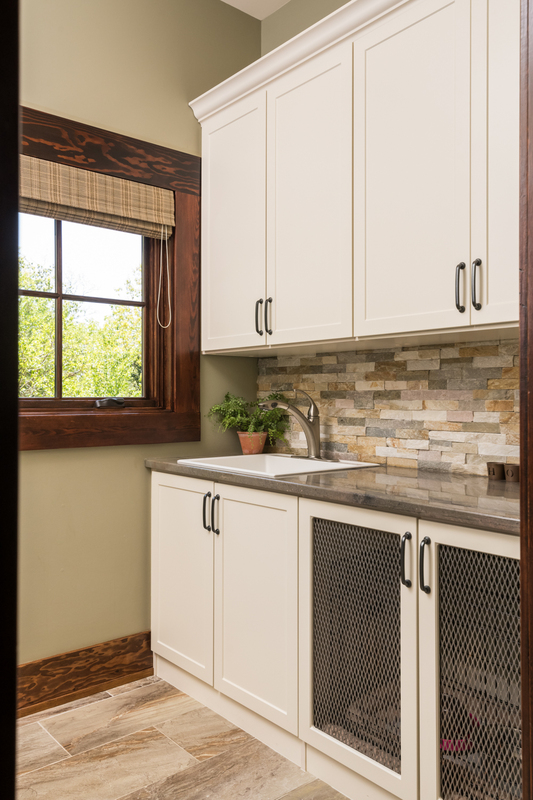 Viewers, there simply isn't enough word space to do this heirloom home justice! 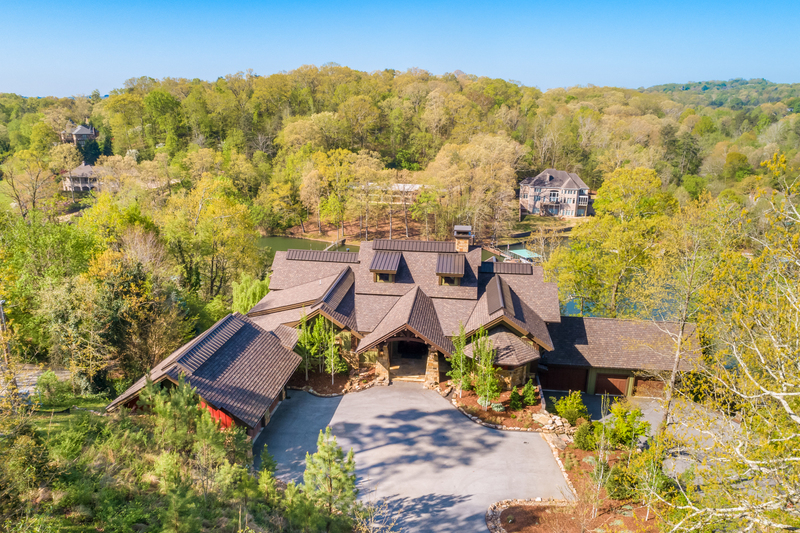 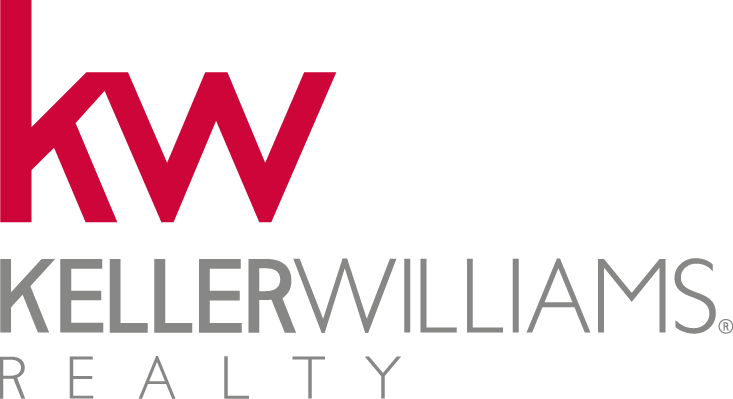 Be the first to get a sneak peek at this home!